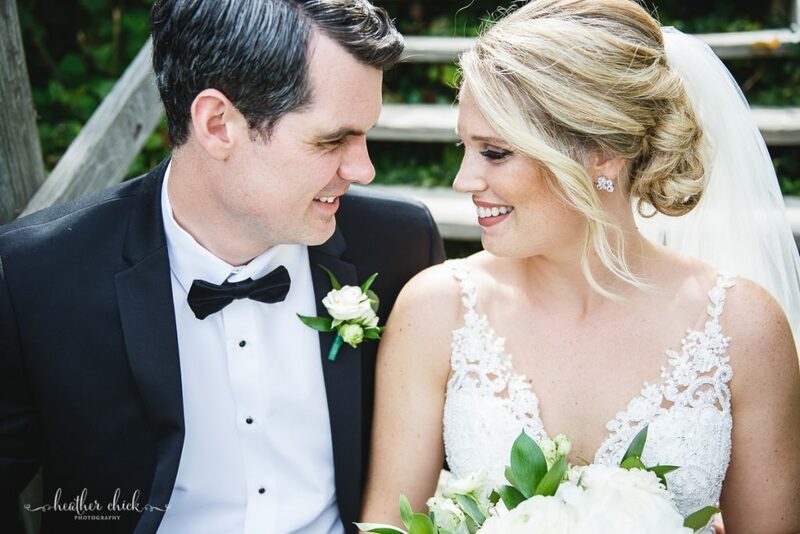 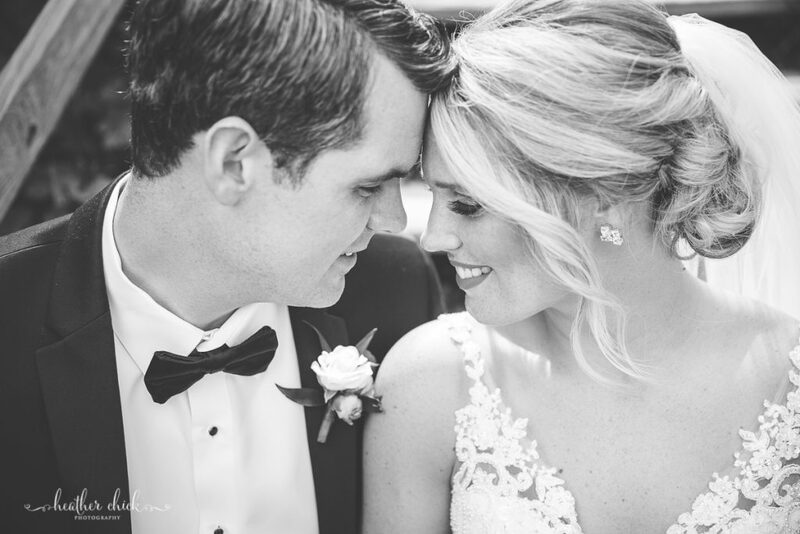 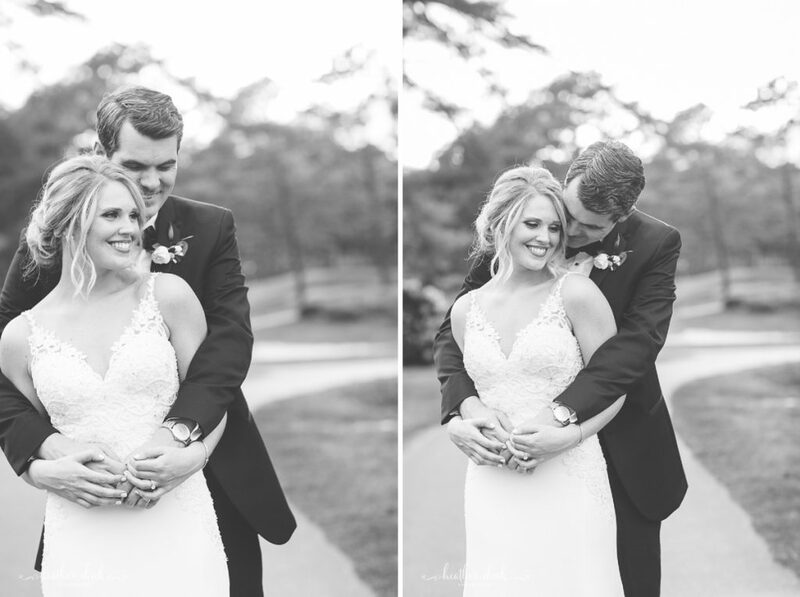 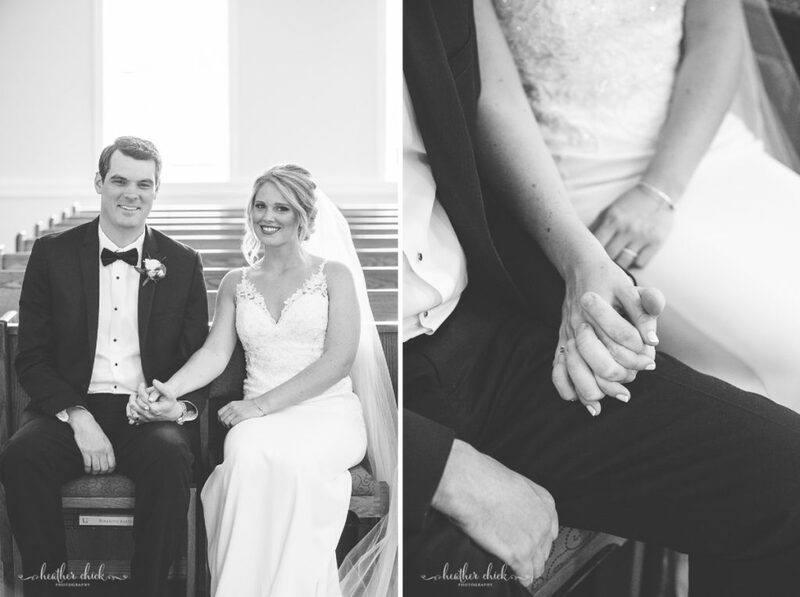 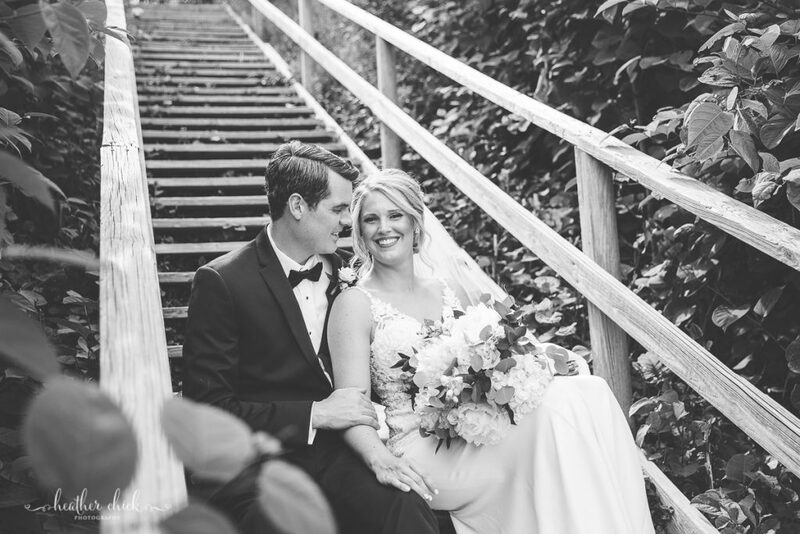 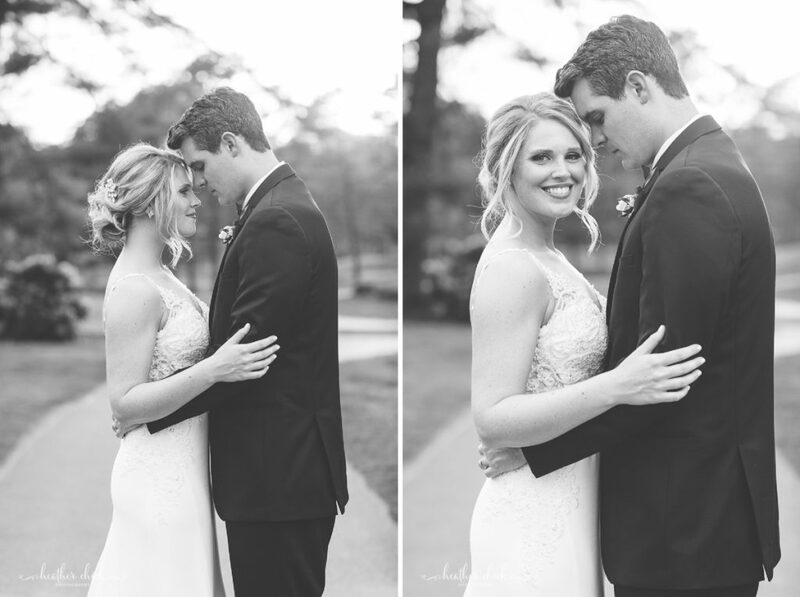 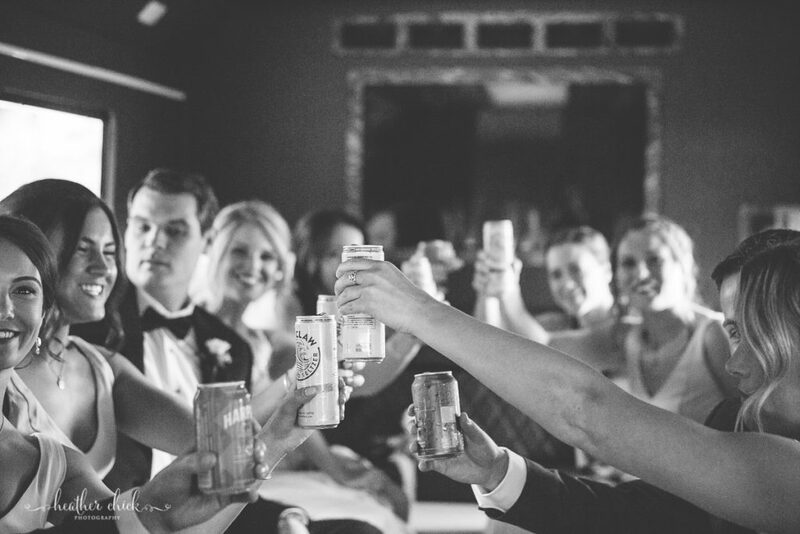 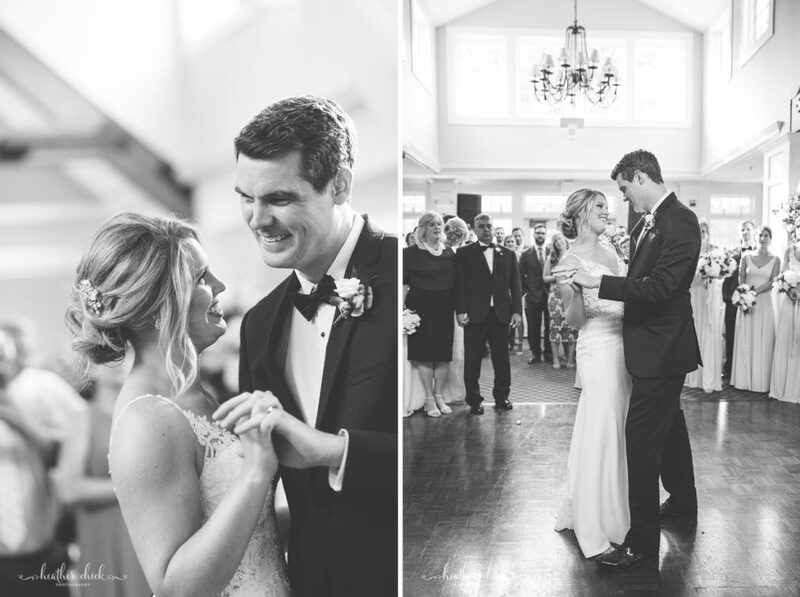 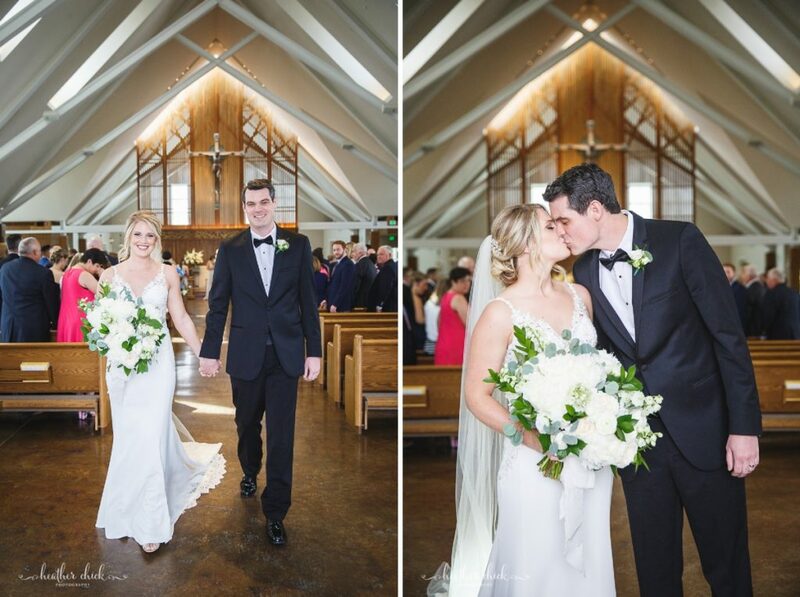 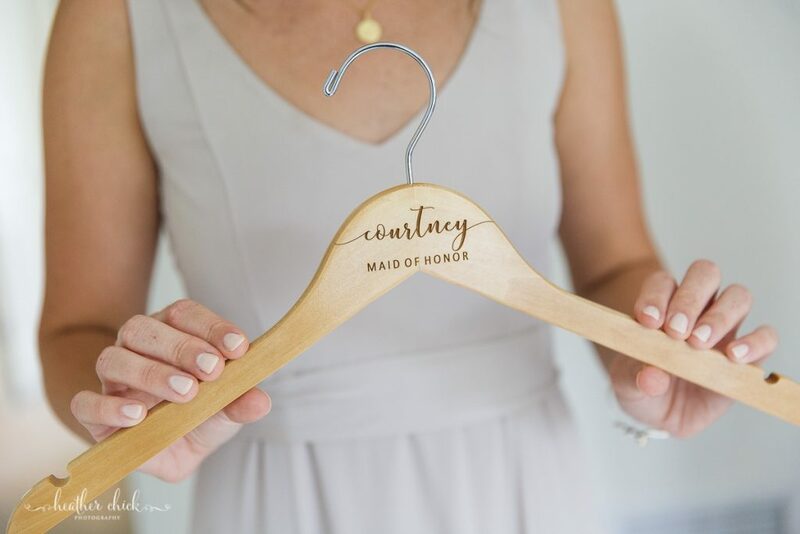 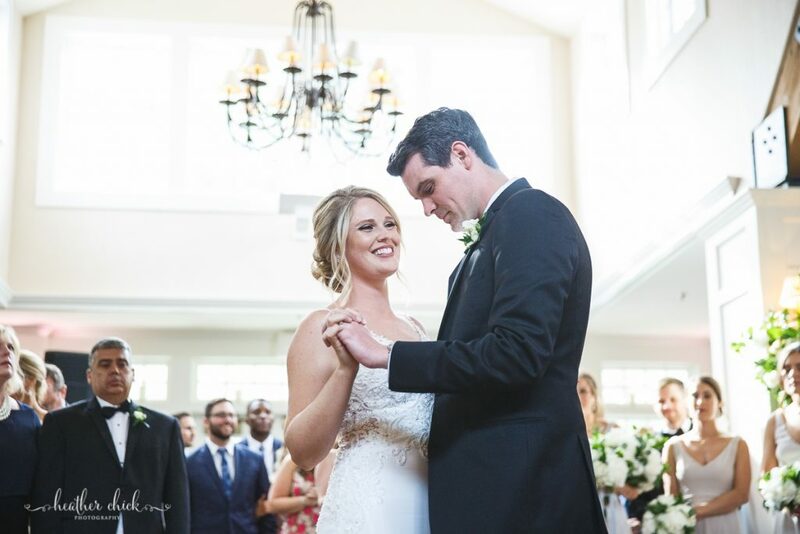 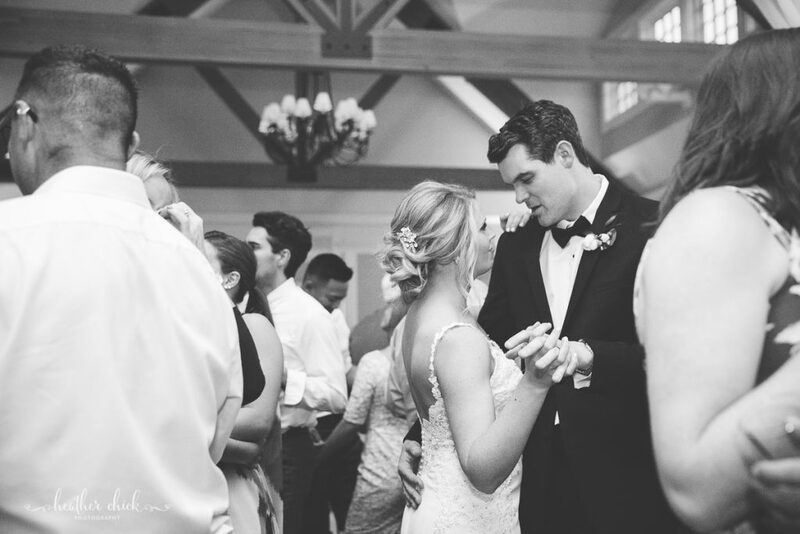 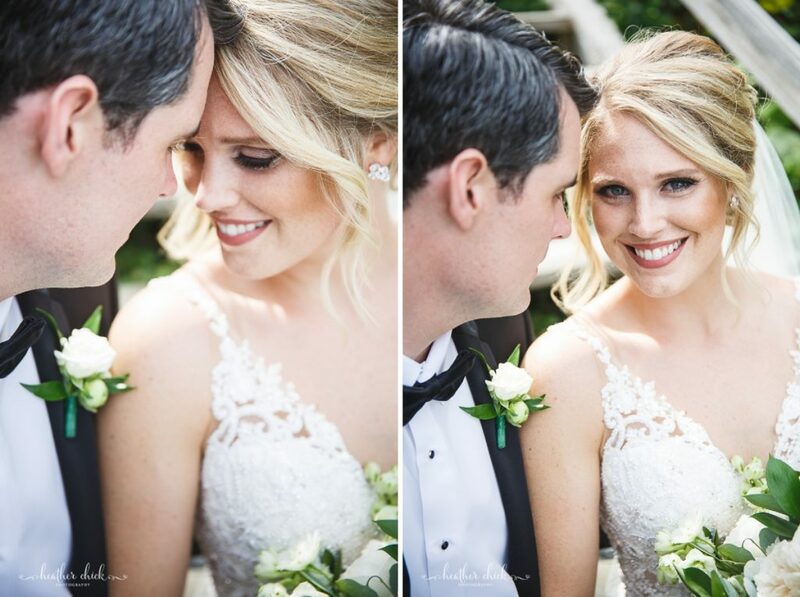 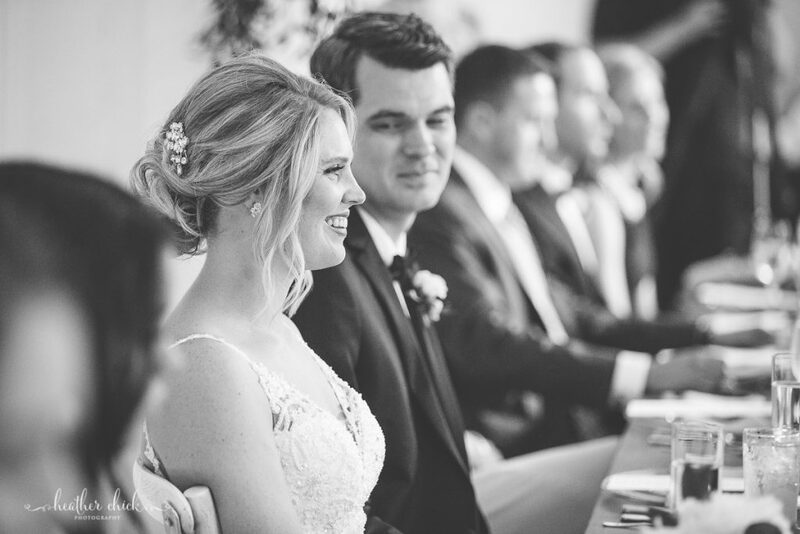 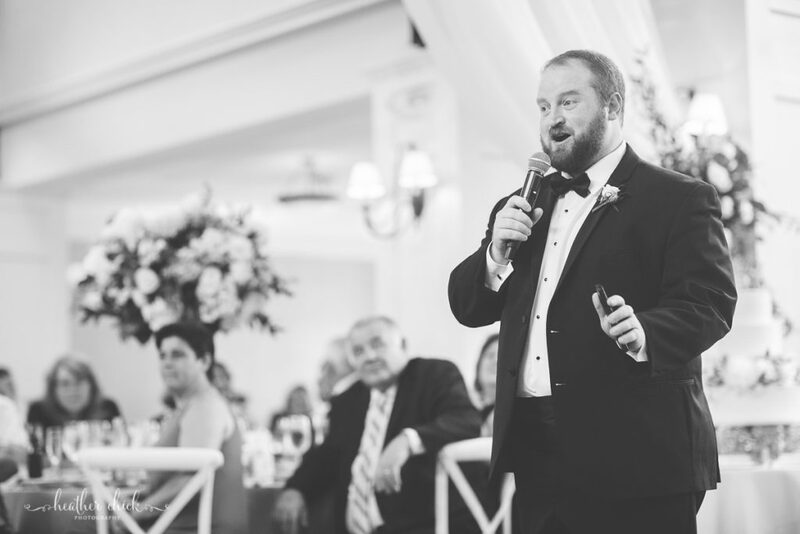 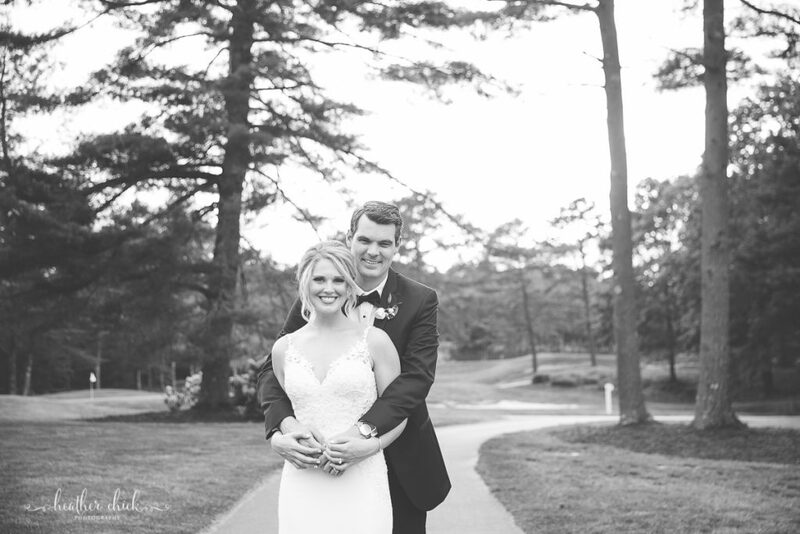 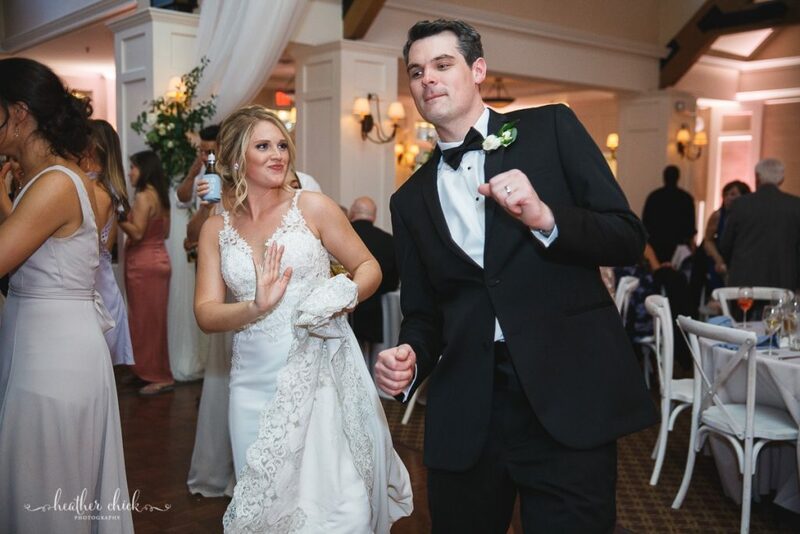 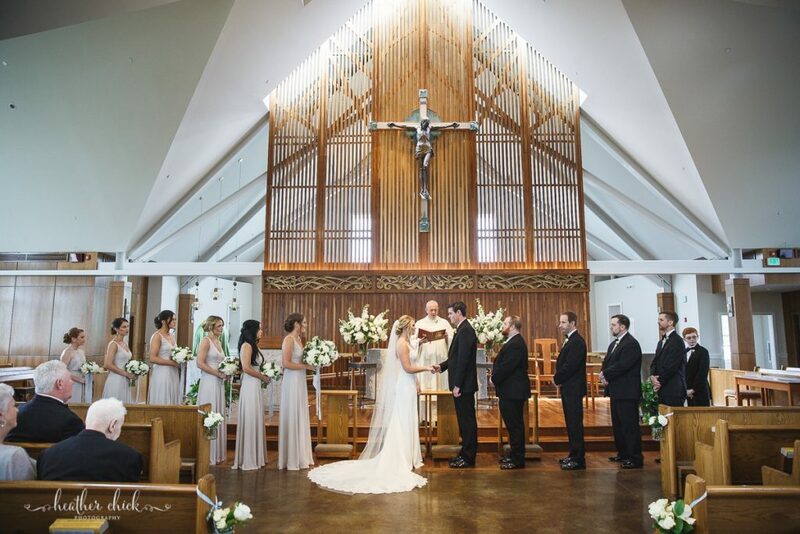 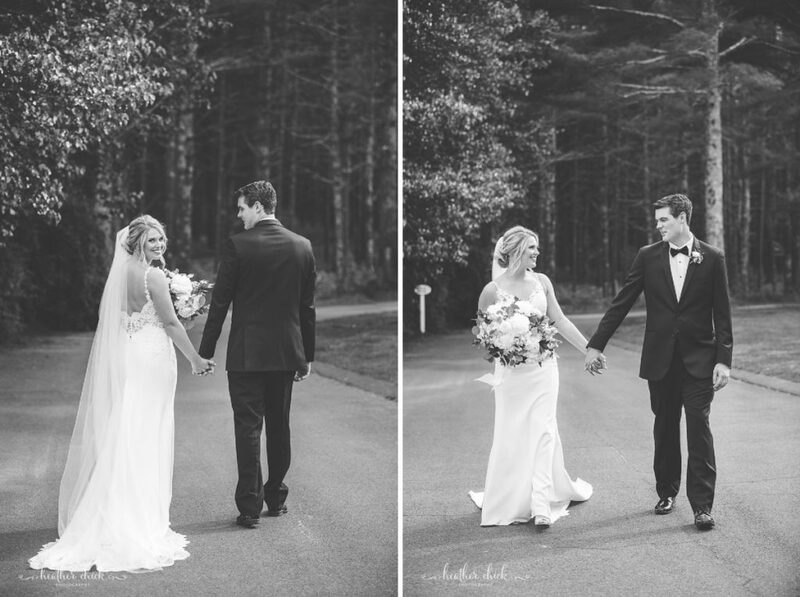 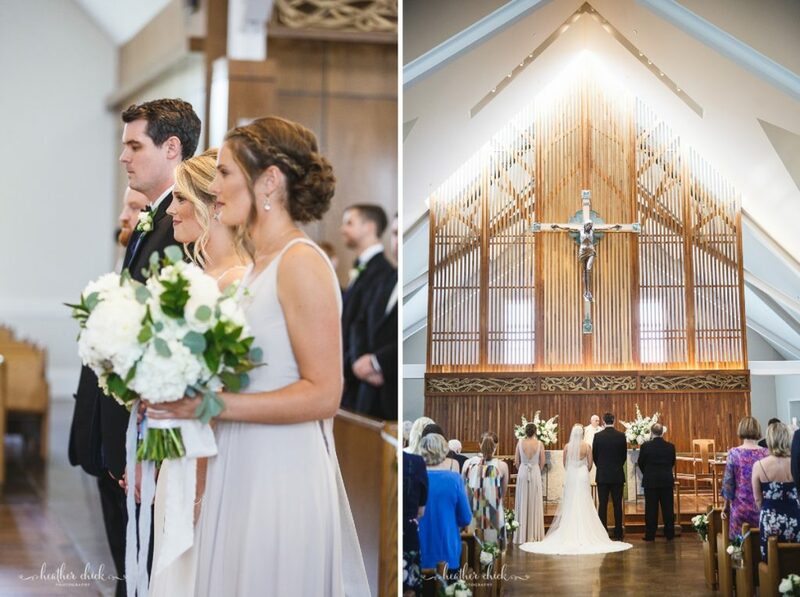 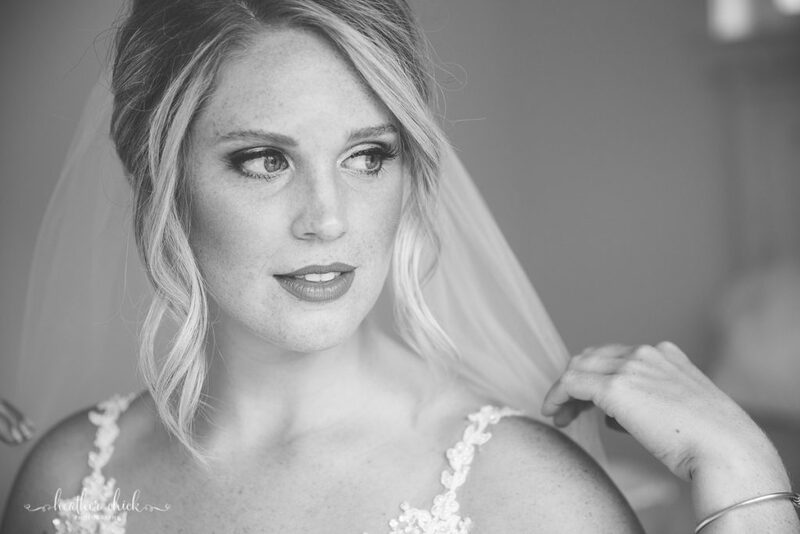 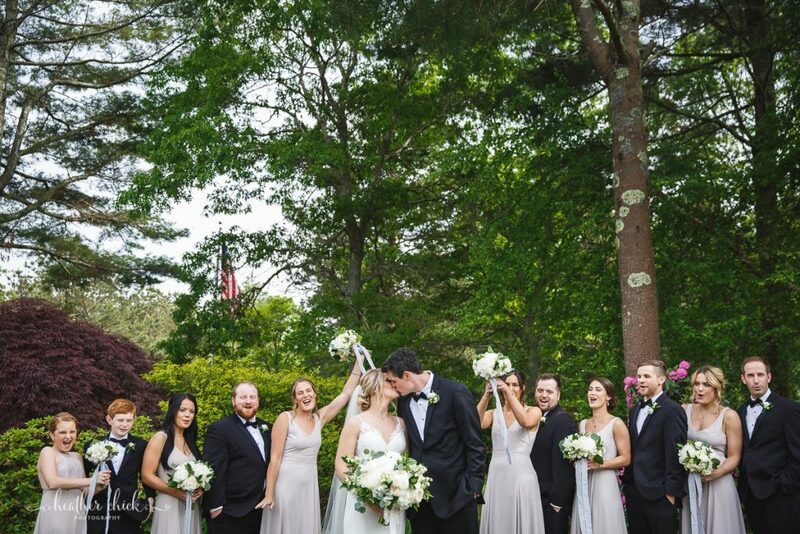 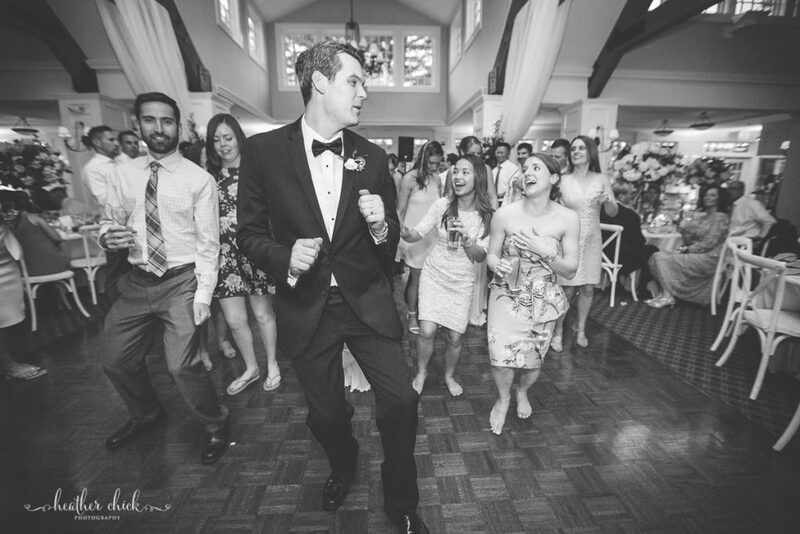 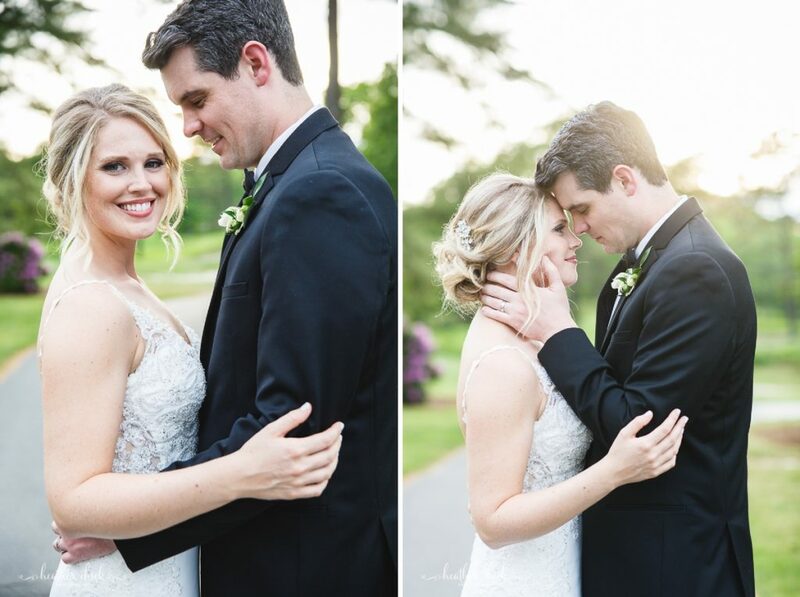 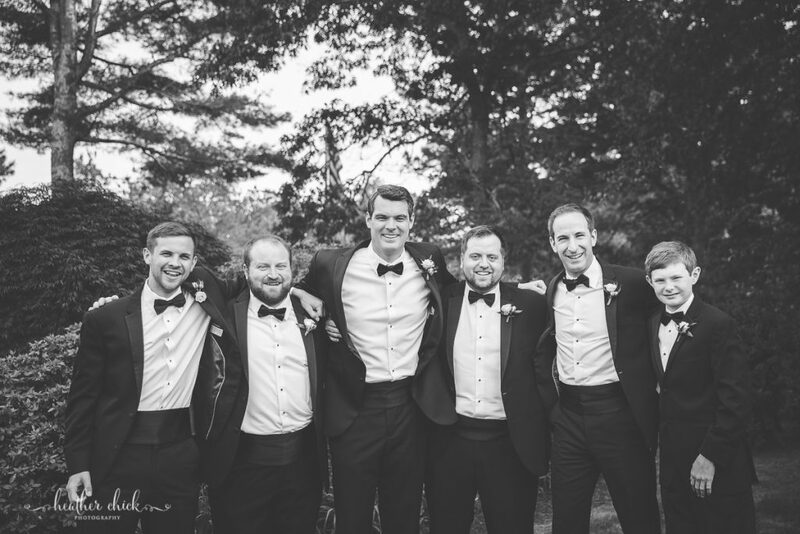 Caitlyn and Zach are married and what an incredible day it was from start to finish! 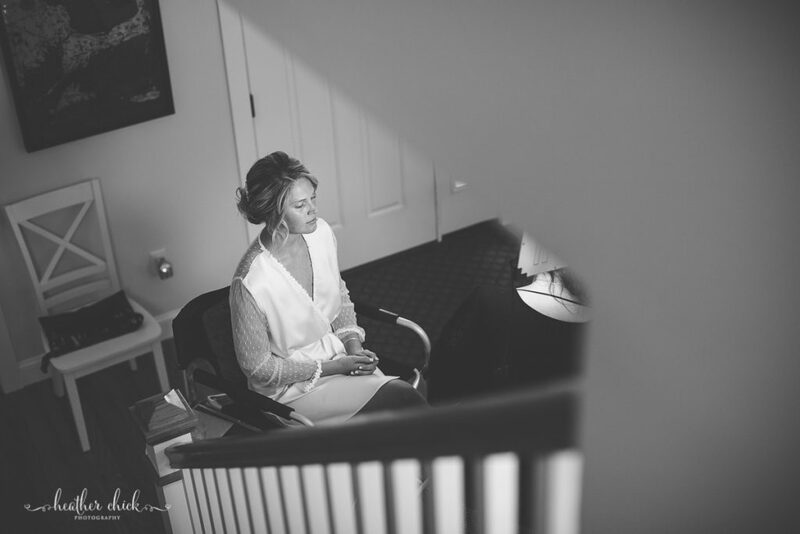 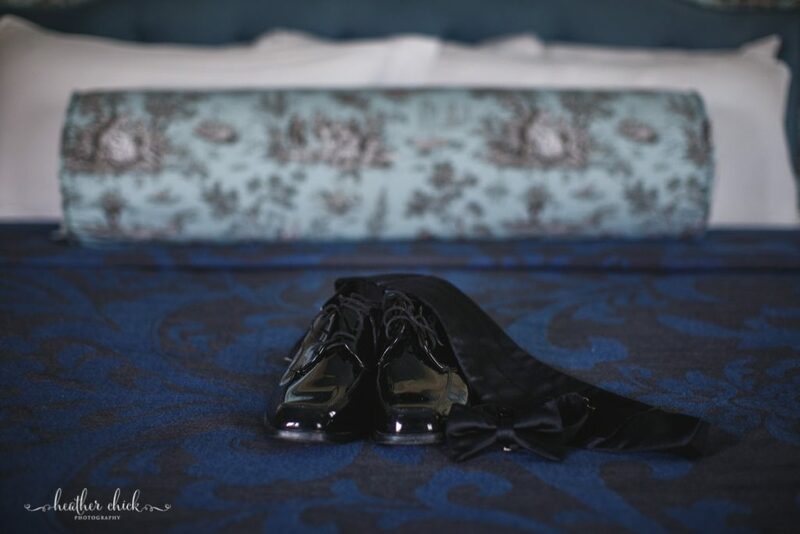 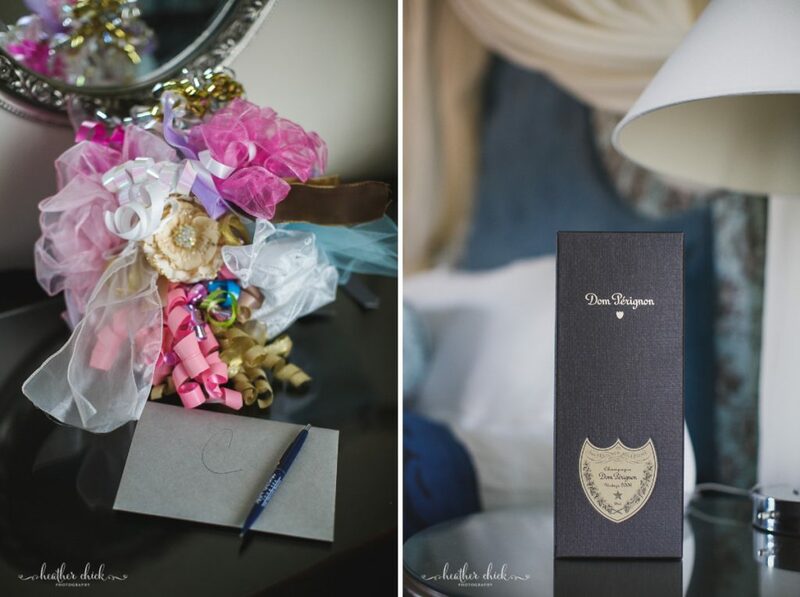 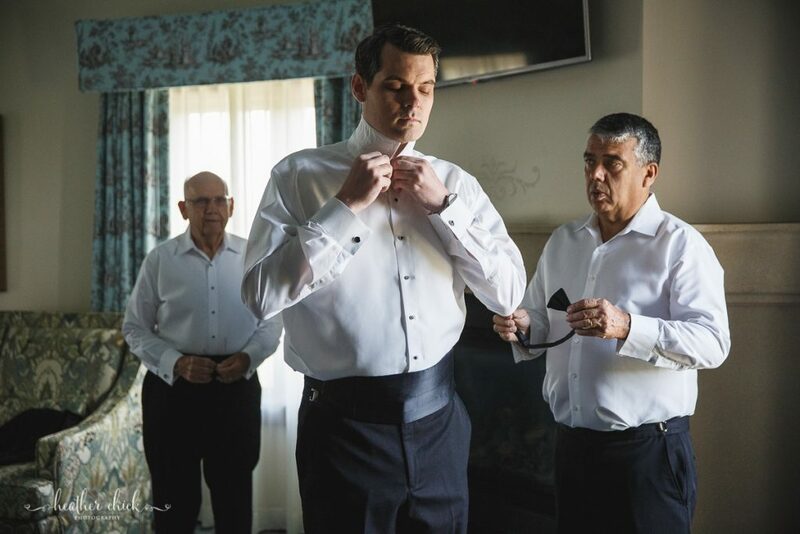 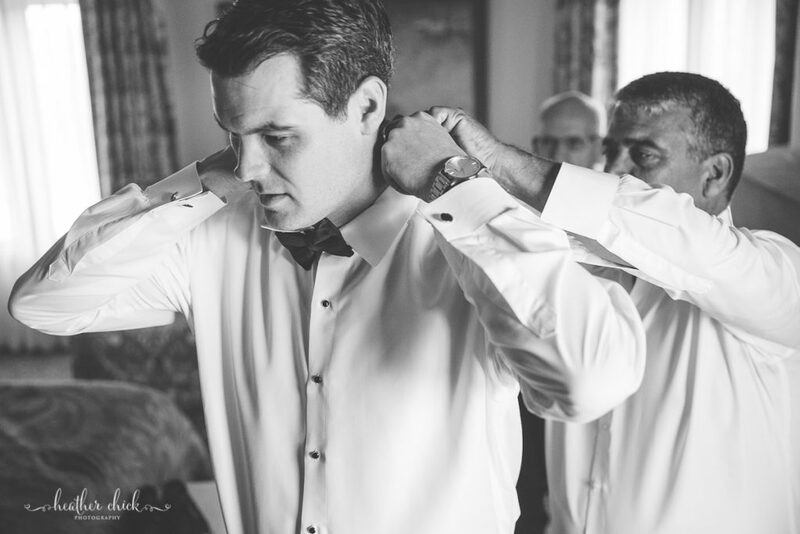 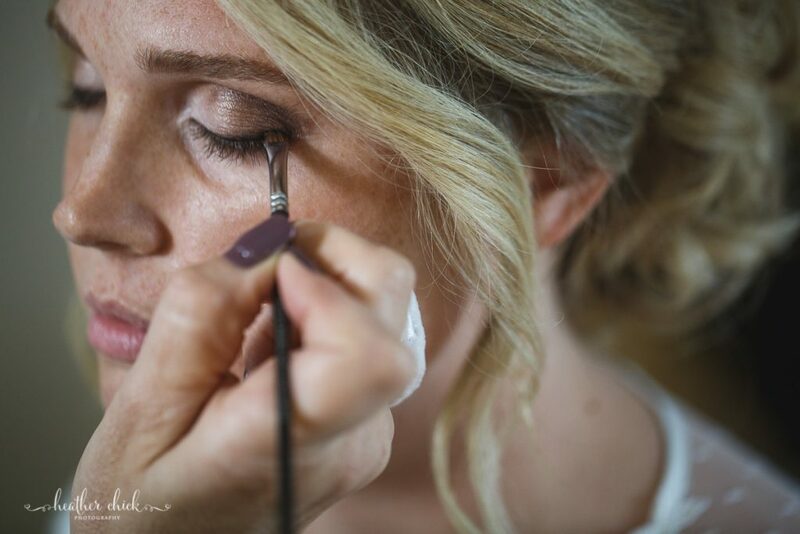 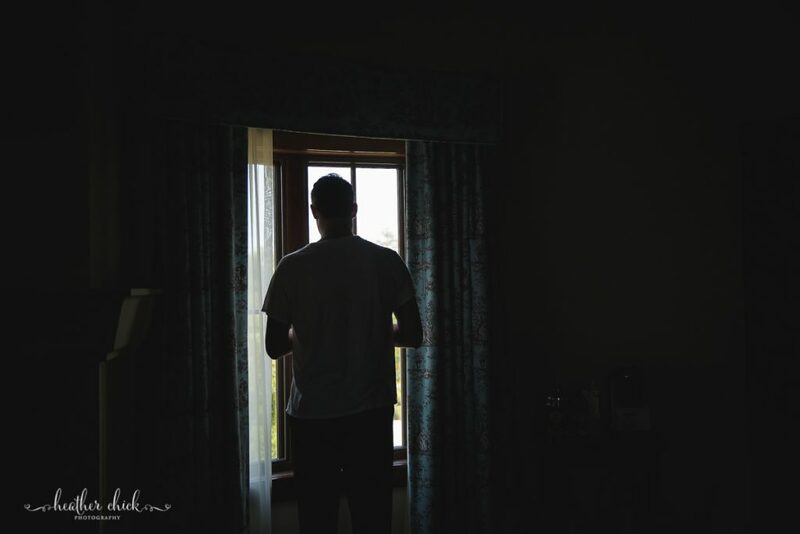 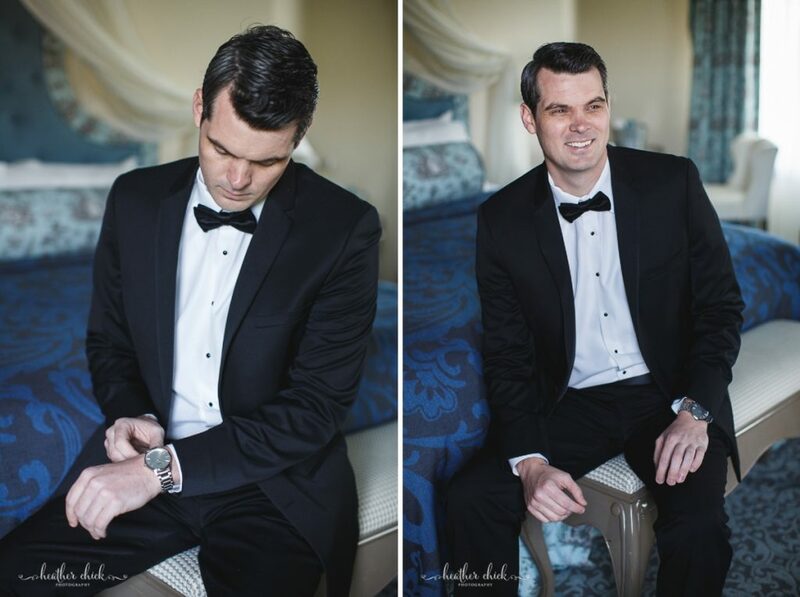 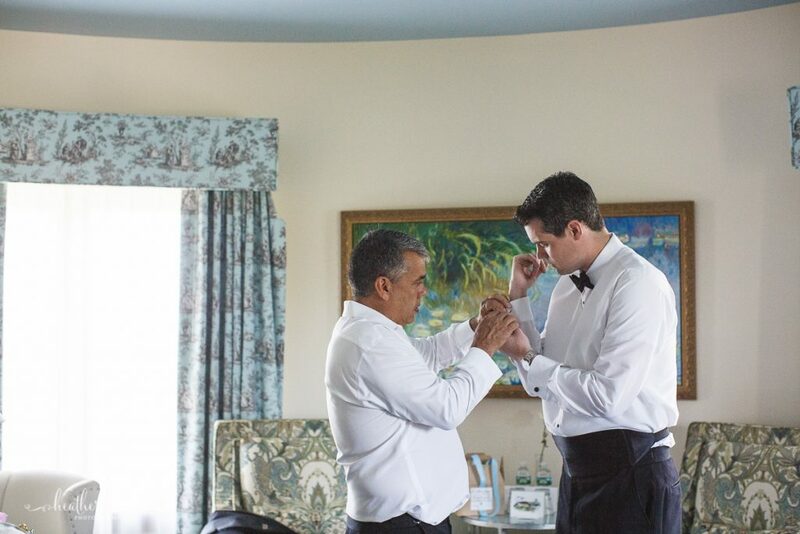 My day started with Zach at the Mirbeau Inn and Spa where he was getting ready. 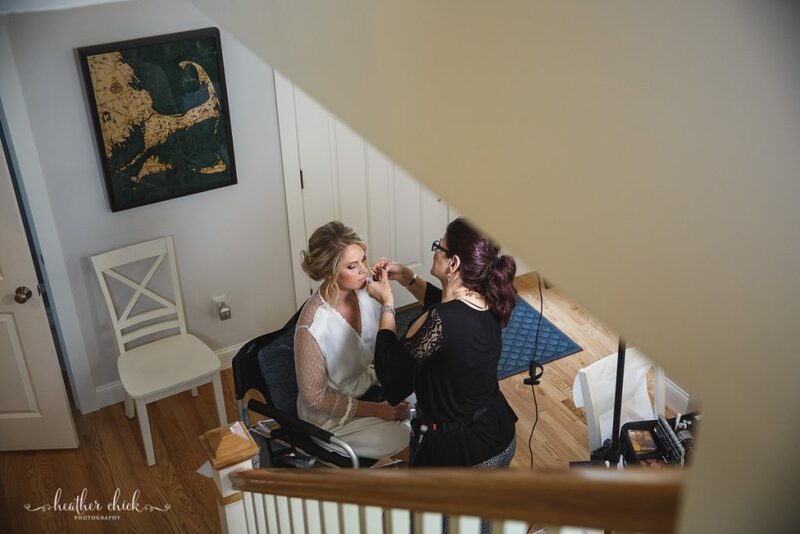 After leaving Mirbeau, I headed to Caitlyn’s home where the girls were having their hair and make-up done. 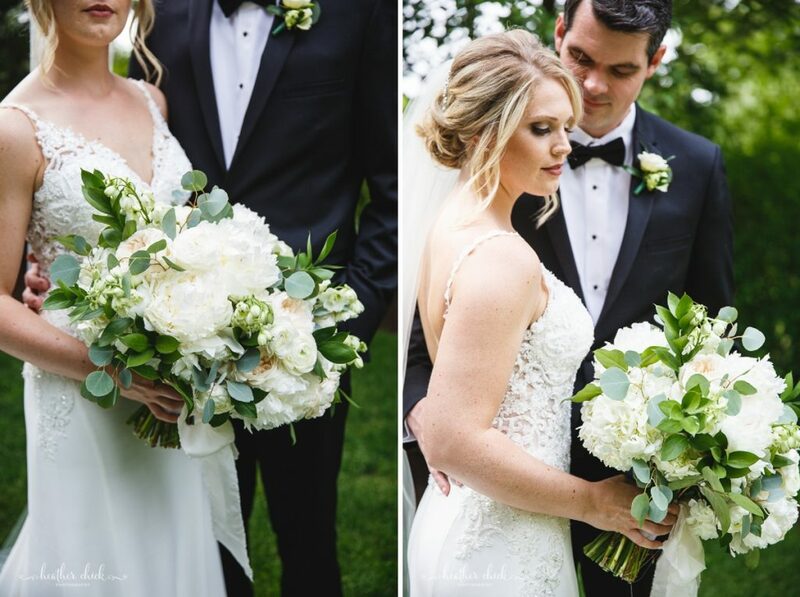 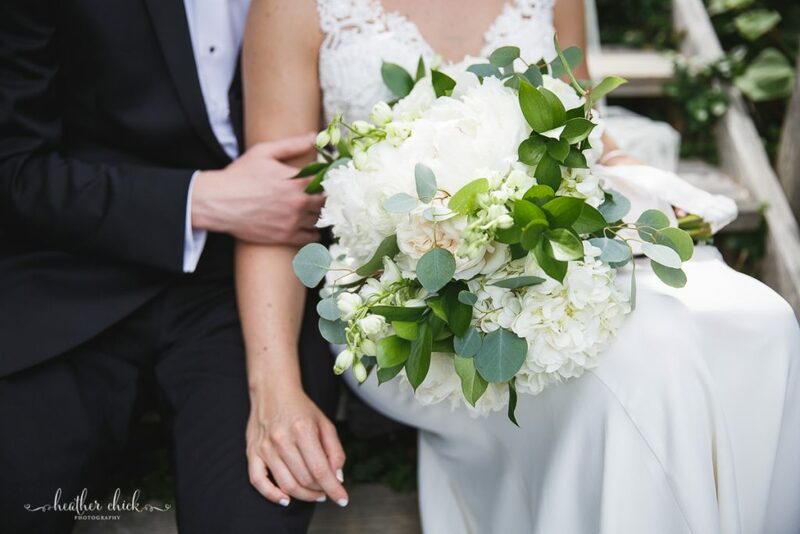 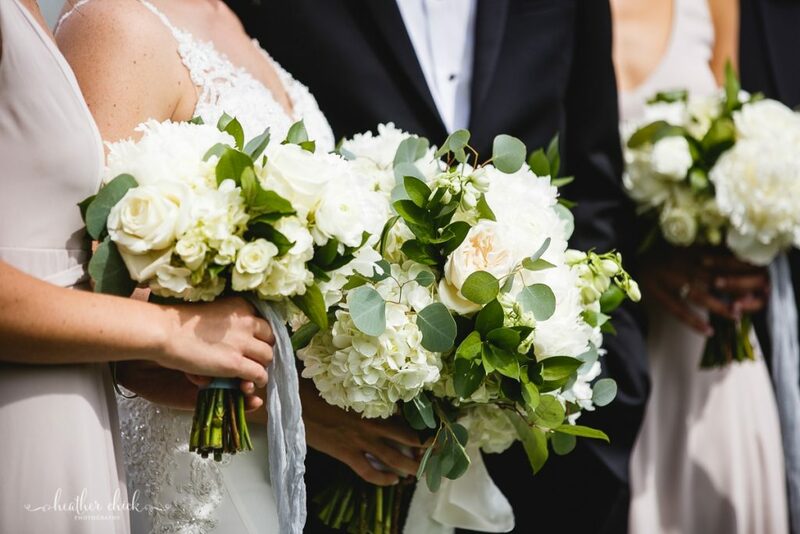 These GORGEOUS bouquets, ended up being a preview of what was to come! 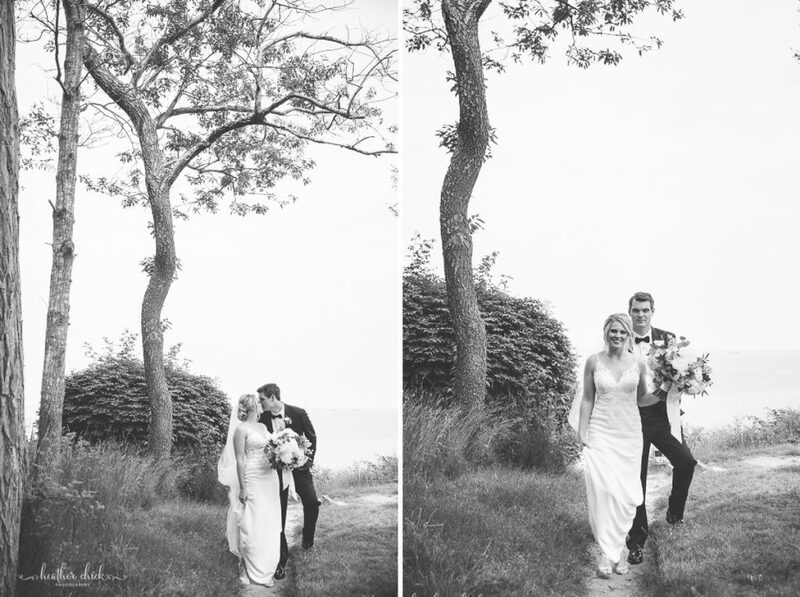 This is my second wedding this season working with Beach Plum Floral and I have been blown away both times! 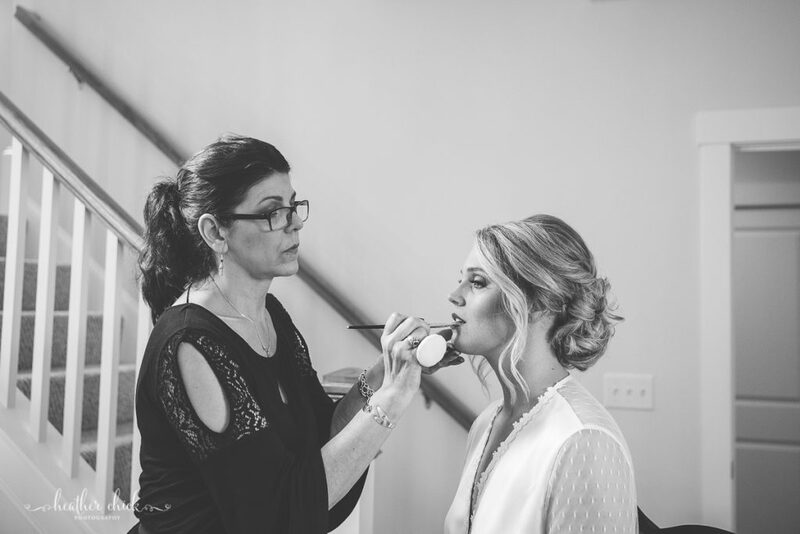 Caitlyn’s mom and sister helped her into her dress and details. 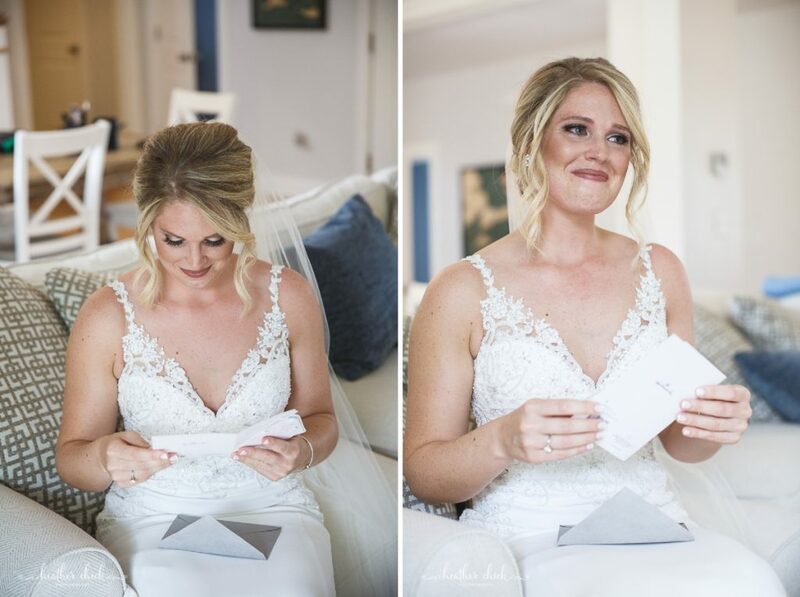 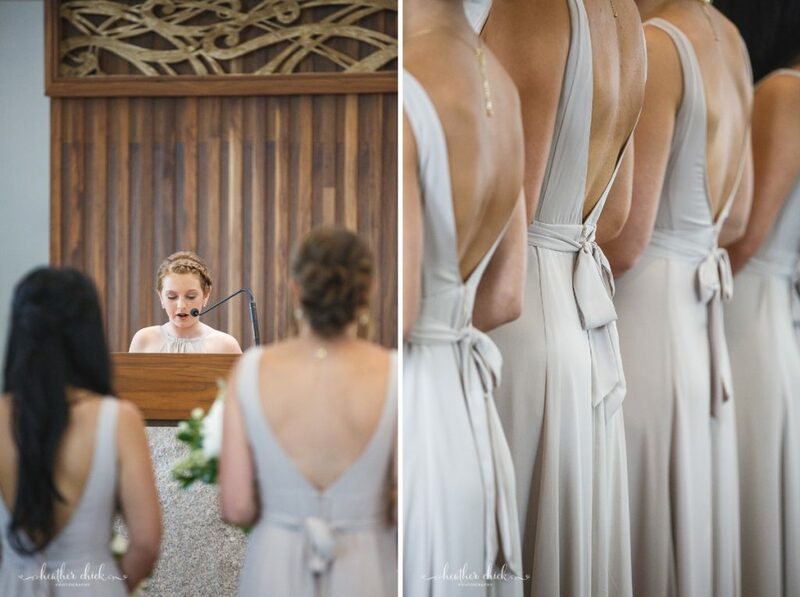 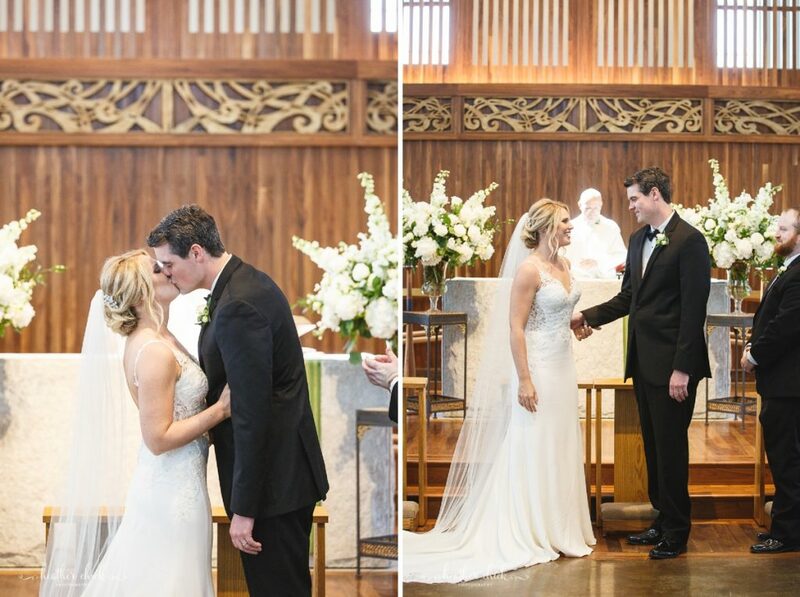 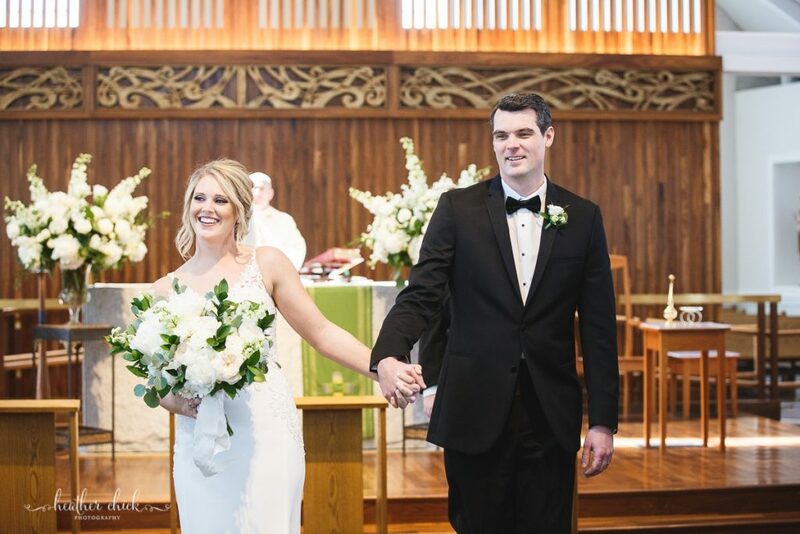 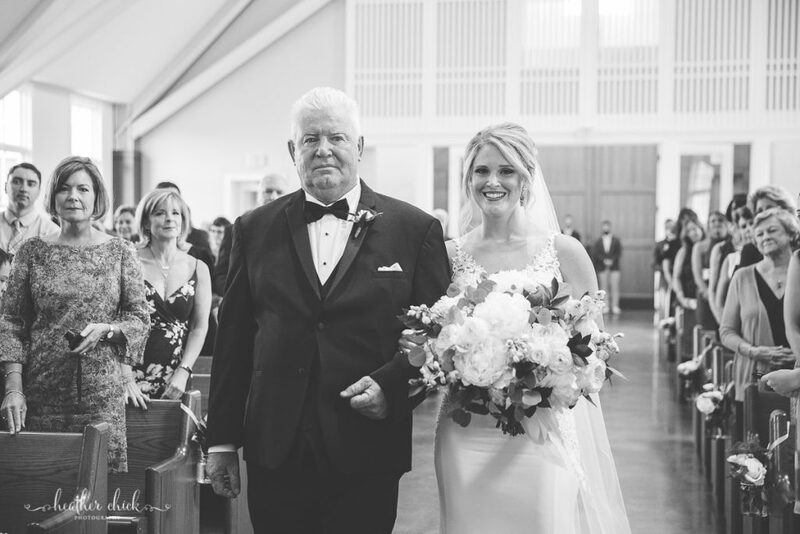 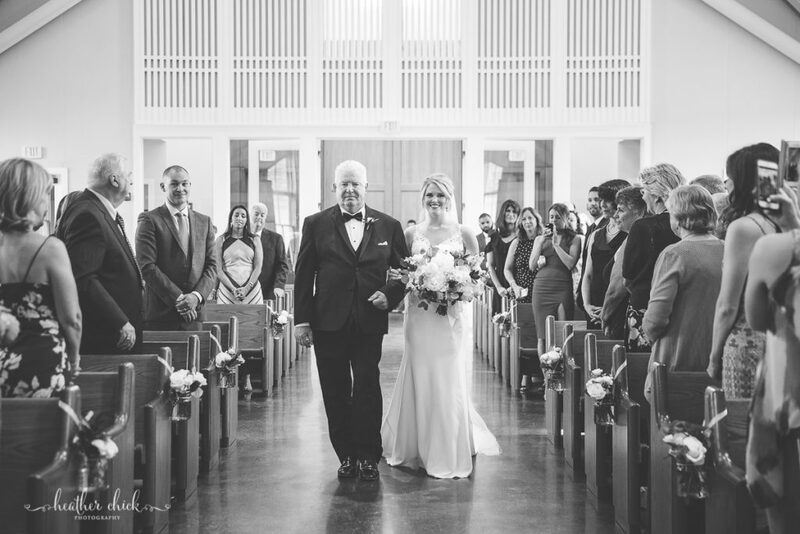 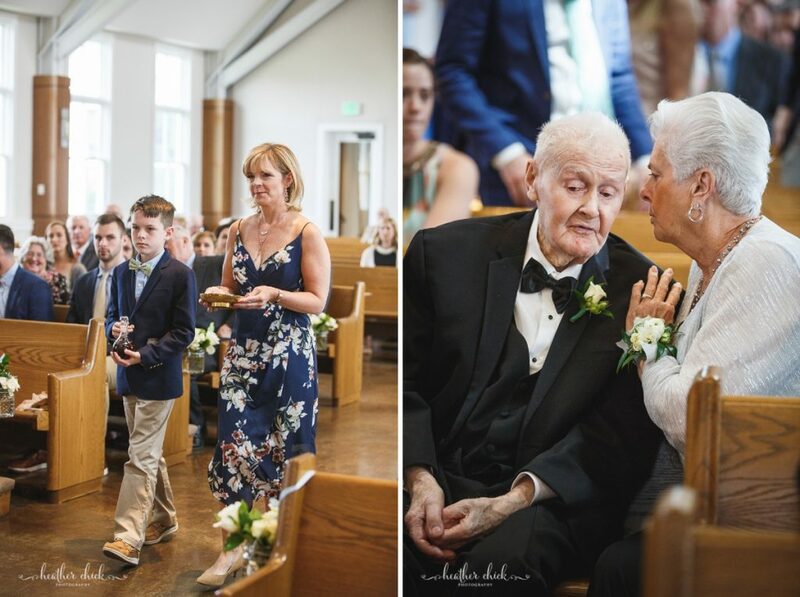 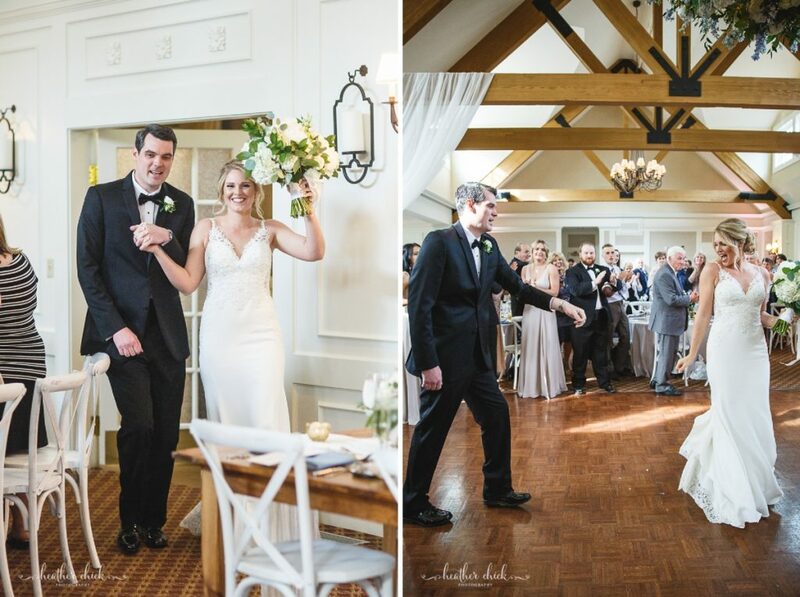 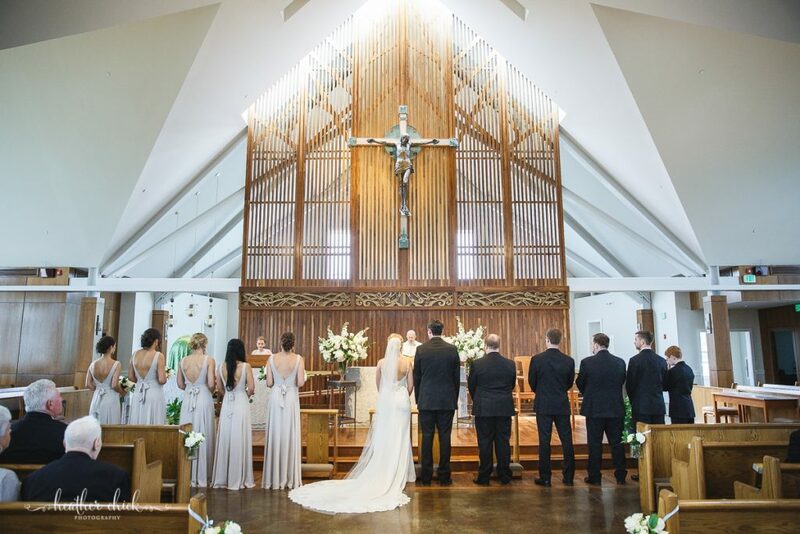 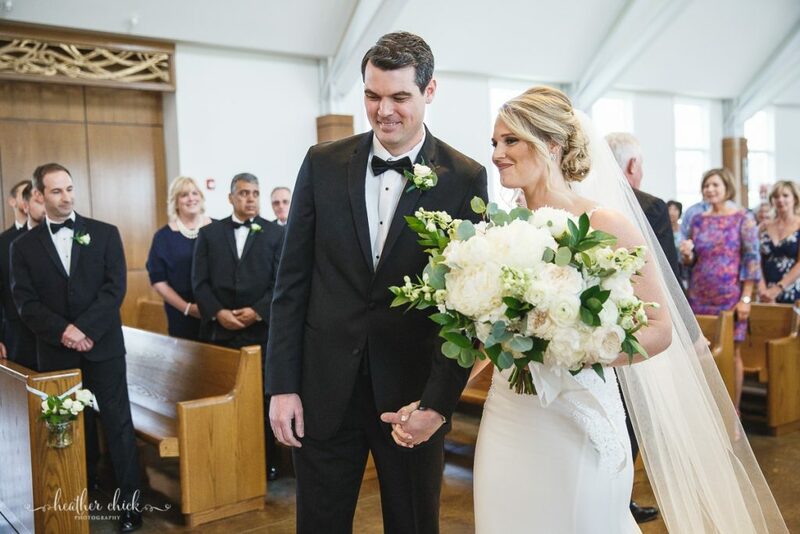 I love this moment – the big walk up the isle is complete and now they are hand and hand to begin their ceremony and officially get married:)! 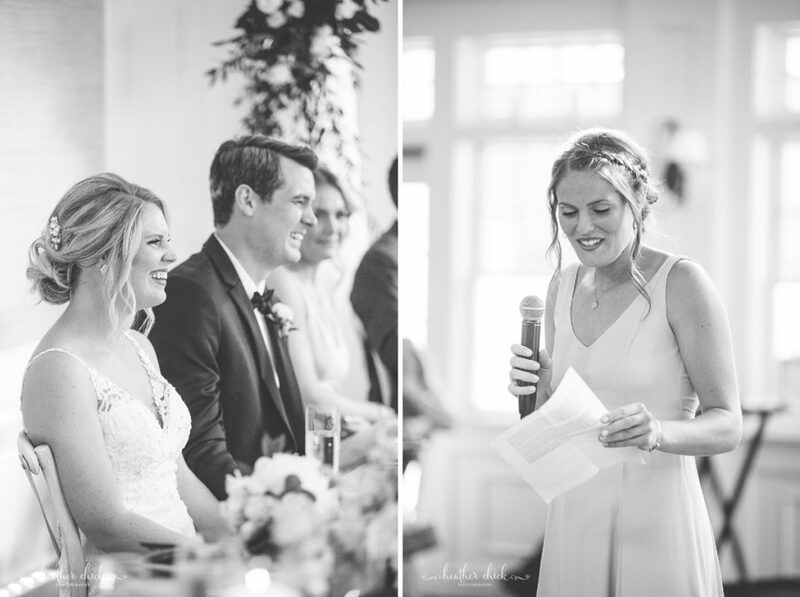 Catilyn’s younger sister did a reading – I was so impressed! 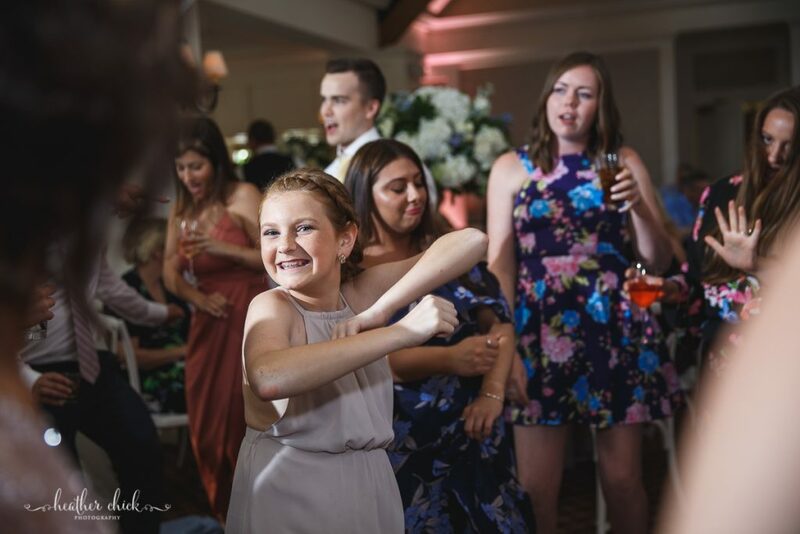 At just 13 years old, she was so mature throughout the whole day, so well spoken and poised while reading and the life of the party for the reception:)! 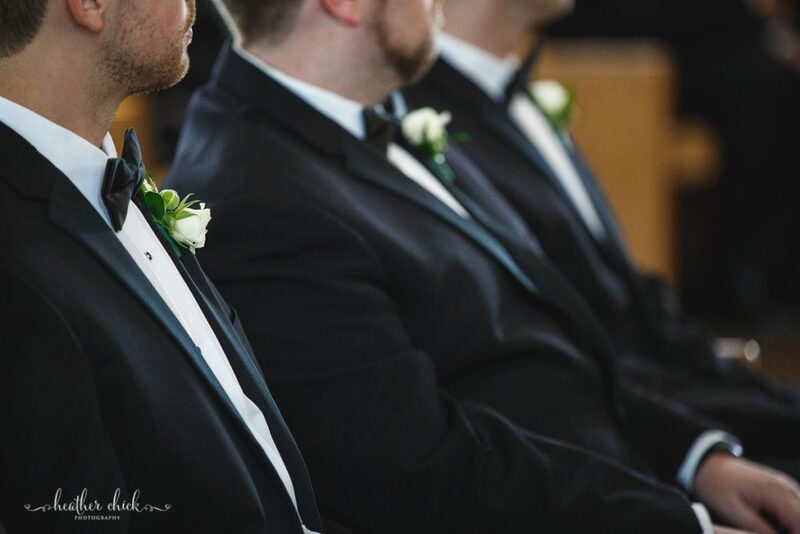 GAH!! 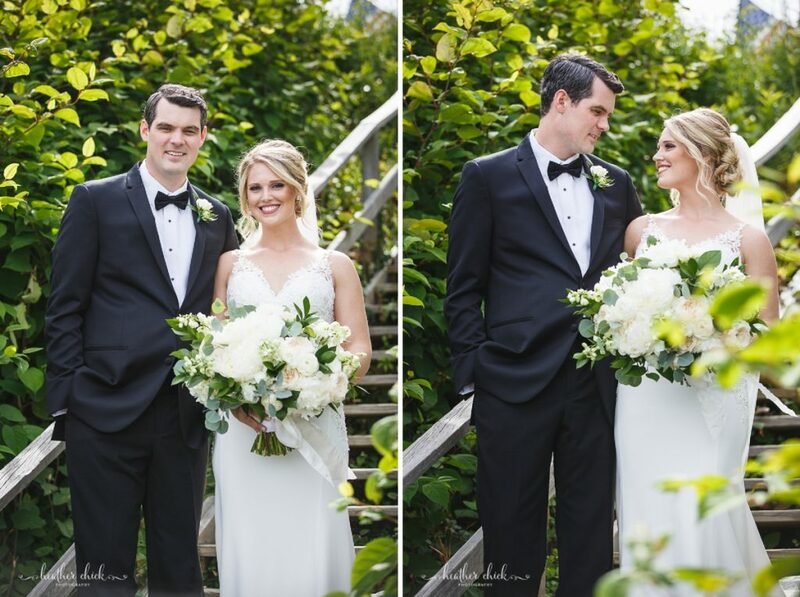 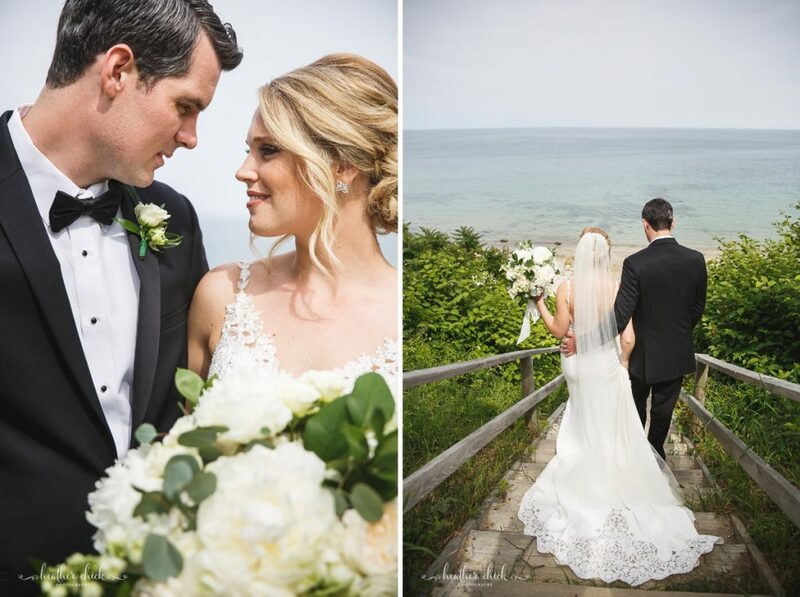 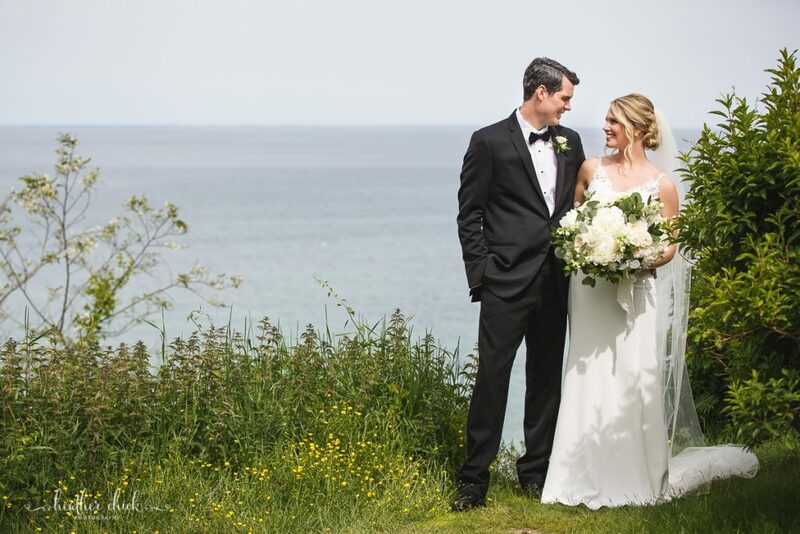 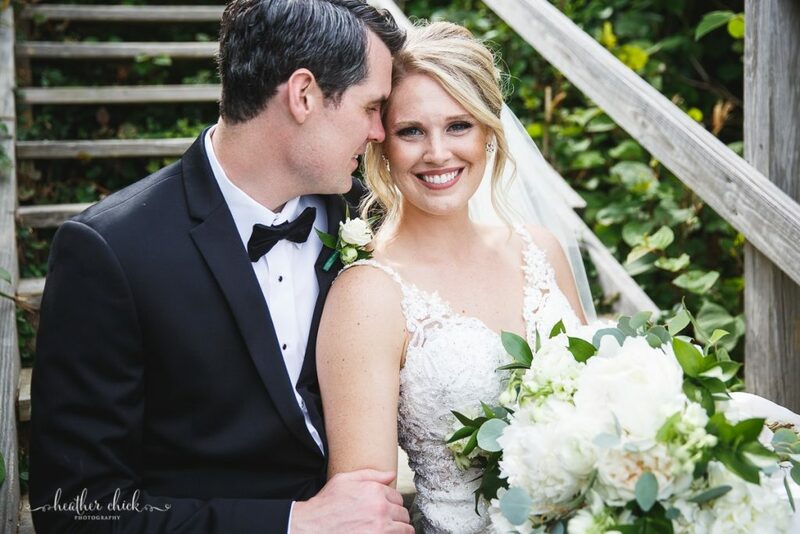 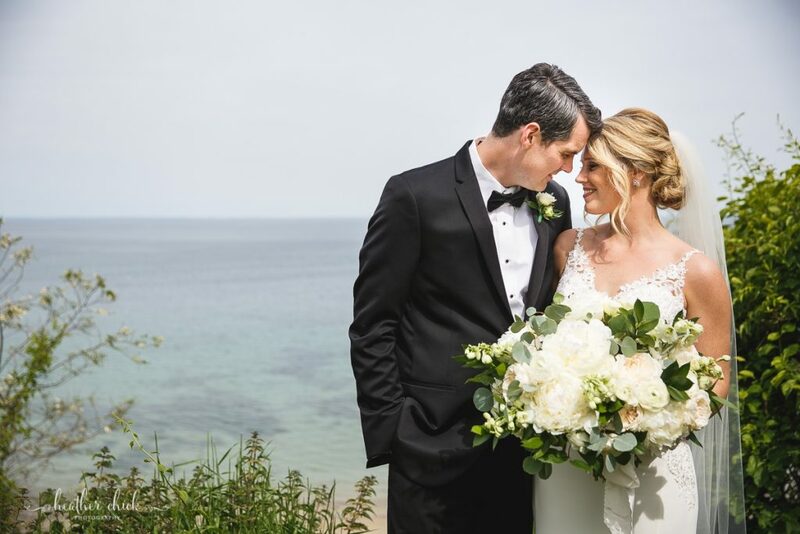 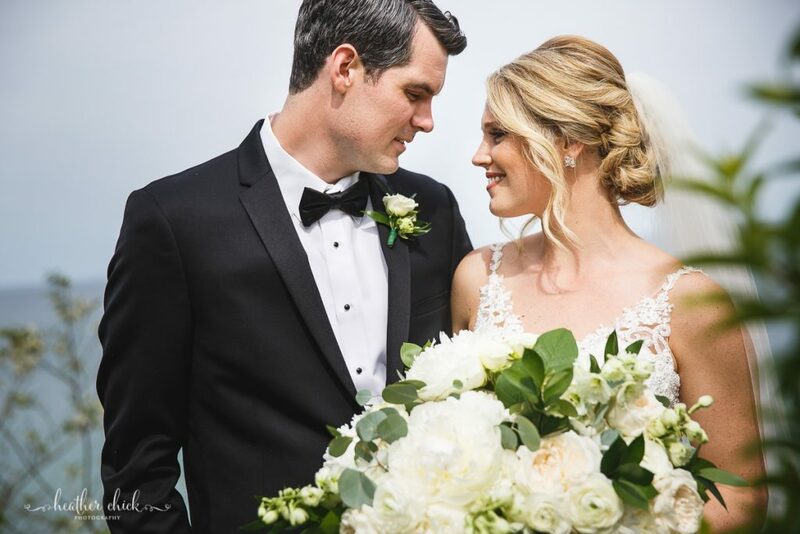 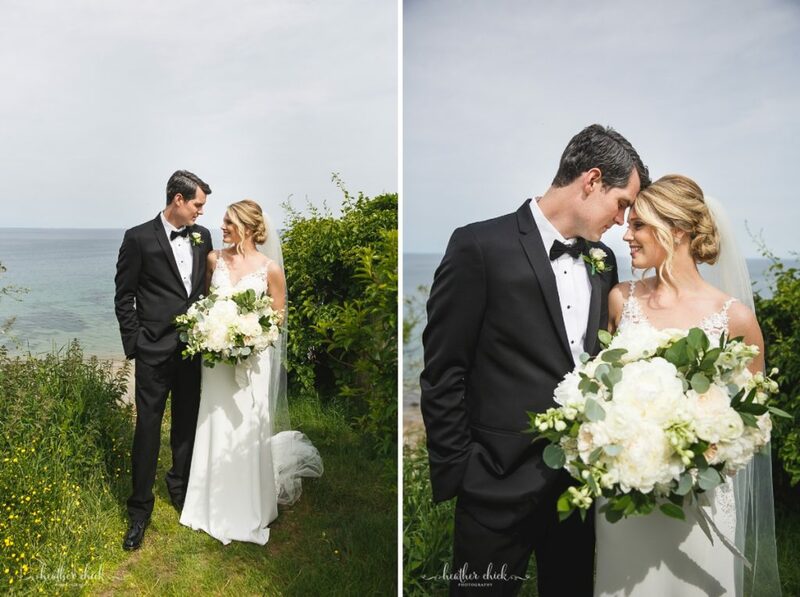 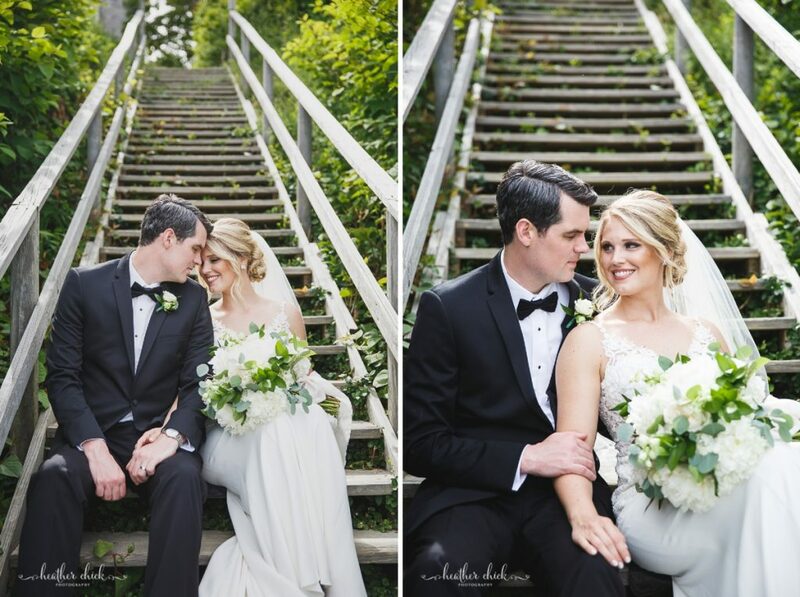 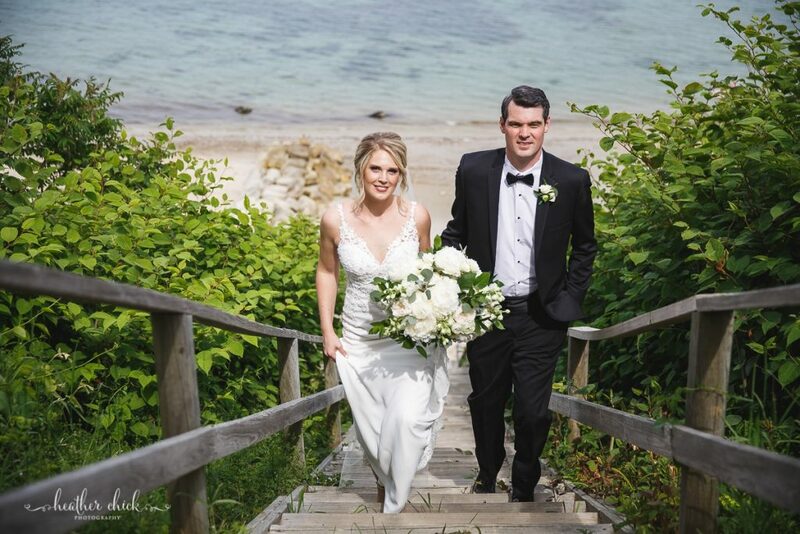 These two, that view and that gorgeous bouquet – to die for!! 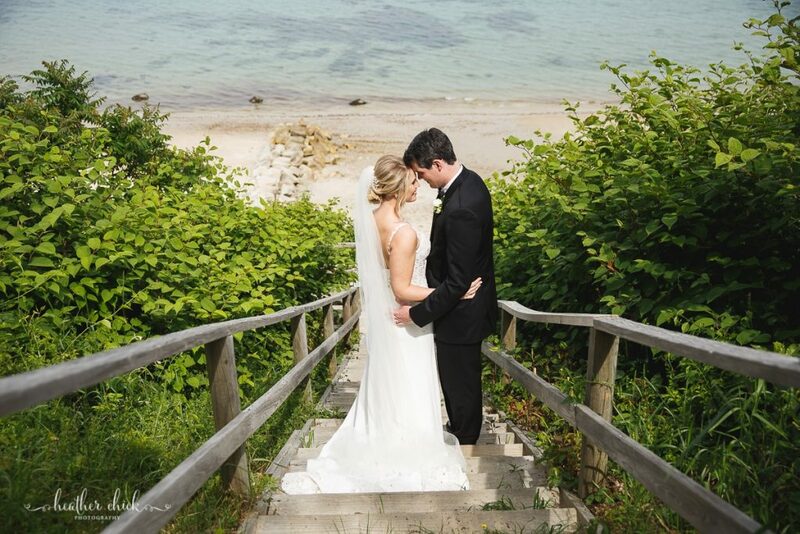 As you can see, we were up on a cliff and there were about a thousand steep stairs down:) We decided to just used the stairs for a few before moving on to the venue! 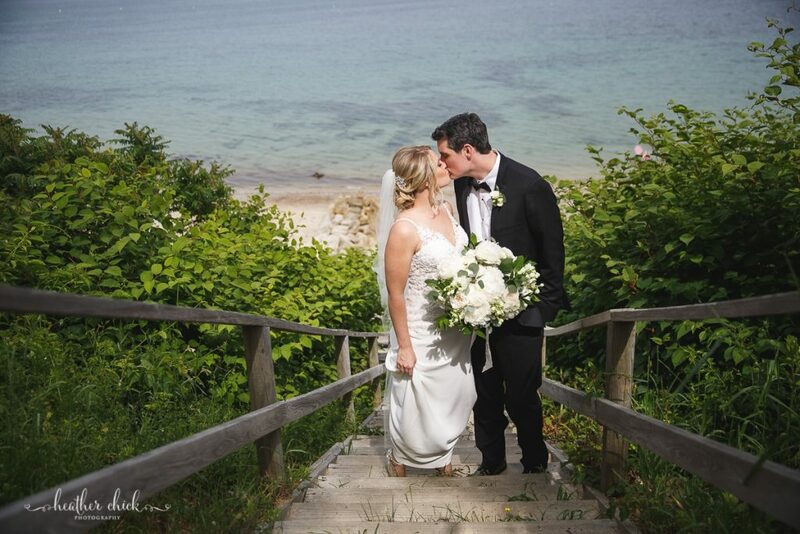 Although we didn’t go all the way to the sand – these stairs were so worth it from every angle! 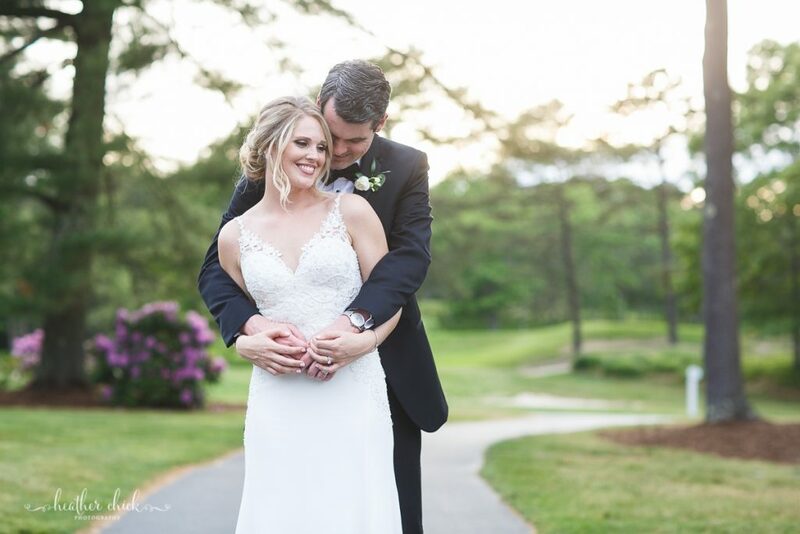 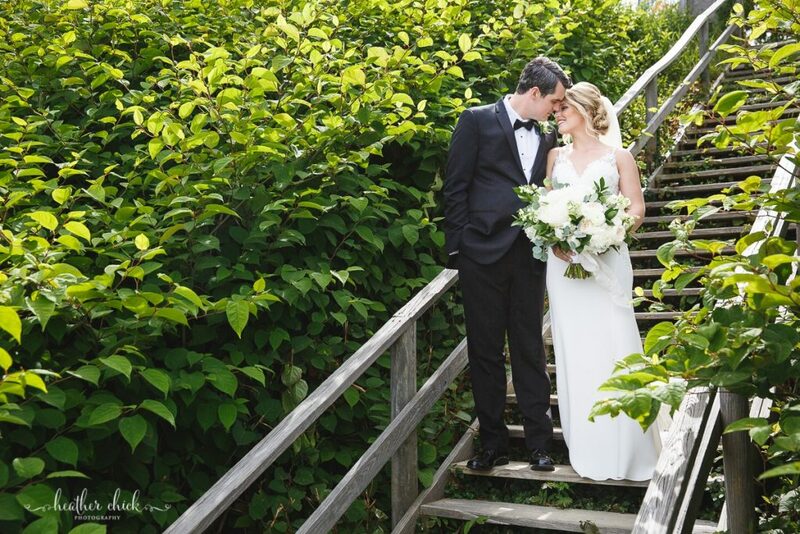 When we arrived at Pinehills Pavilion, we did just a few more minutes of photos (out of the direct sun:) before meeting up with their families and then enjoying the last bit of cocktail hour! 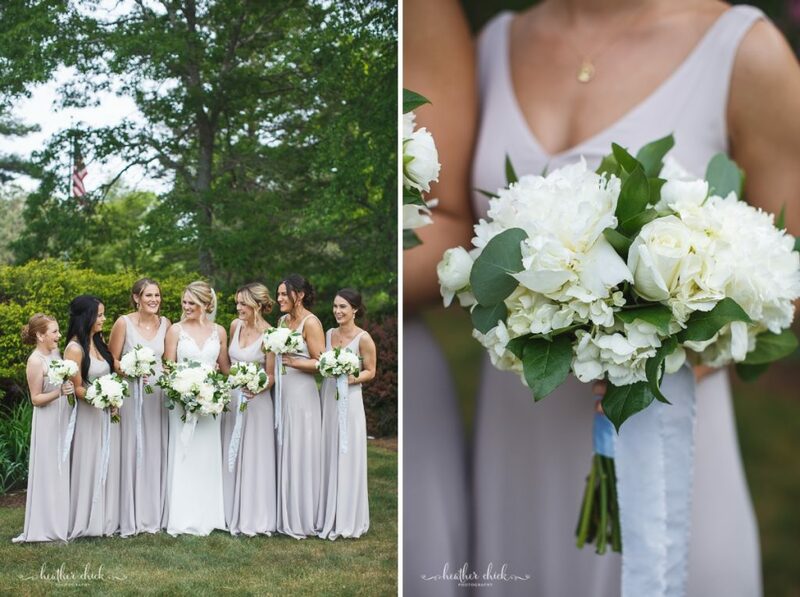 These girls, colors and flowers looked phenomenal against this greenery backdrop too! 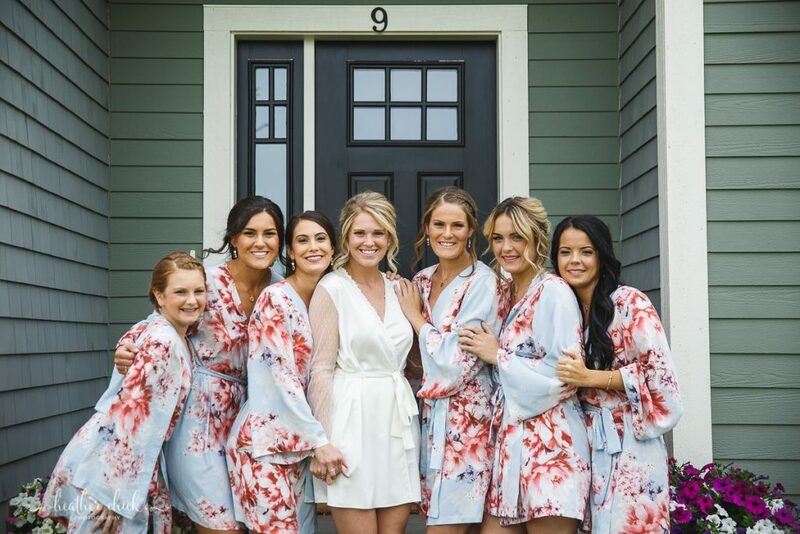 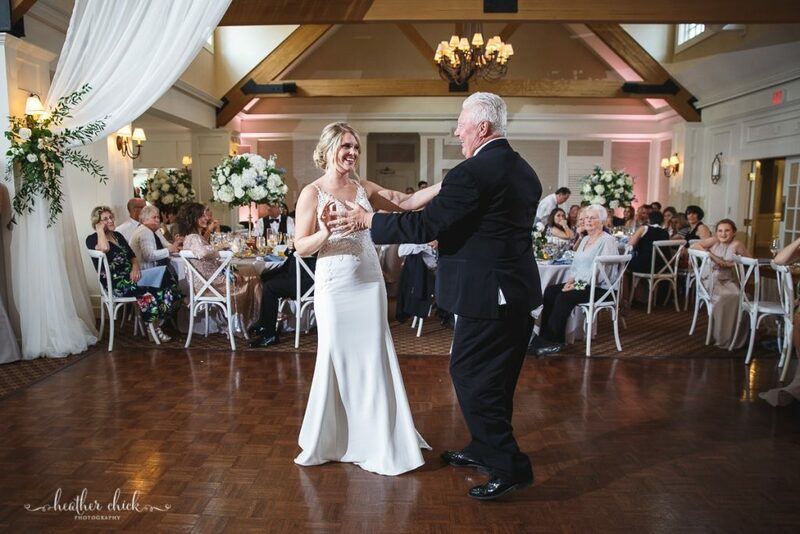 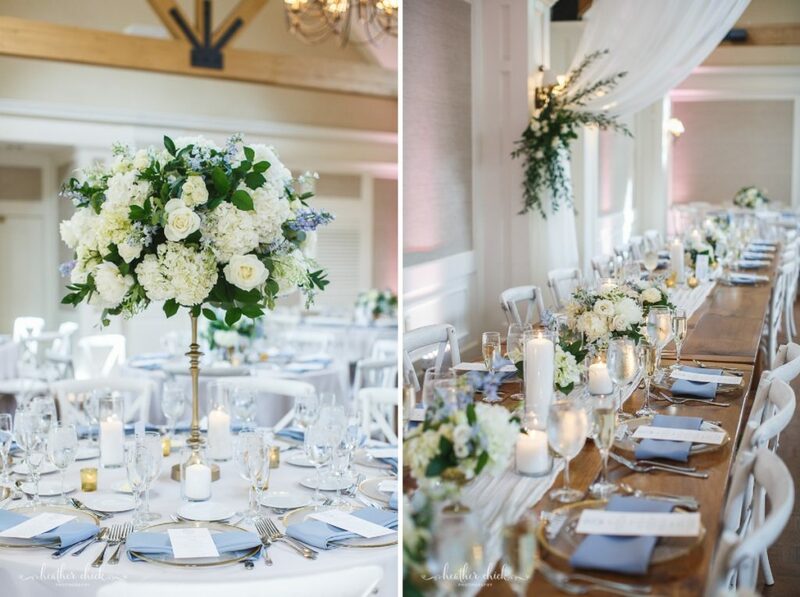 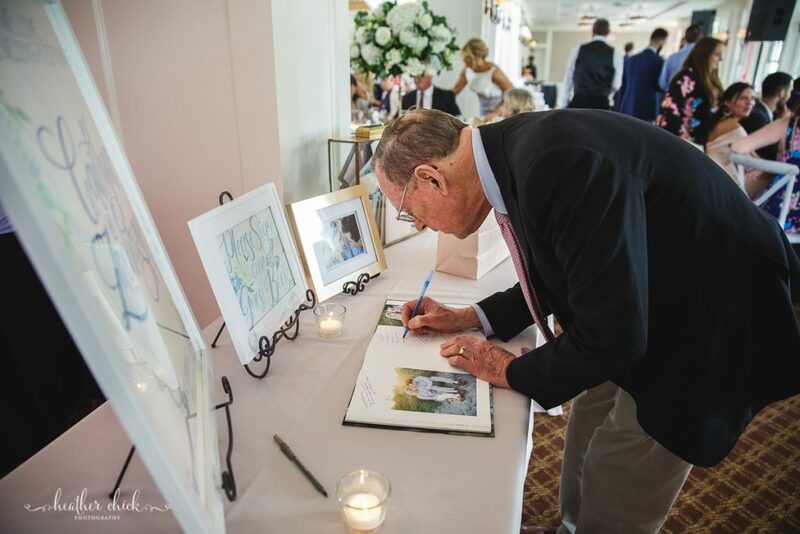 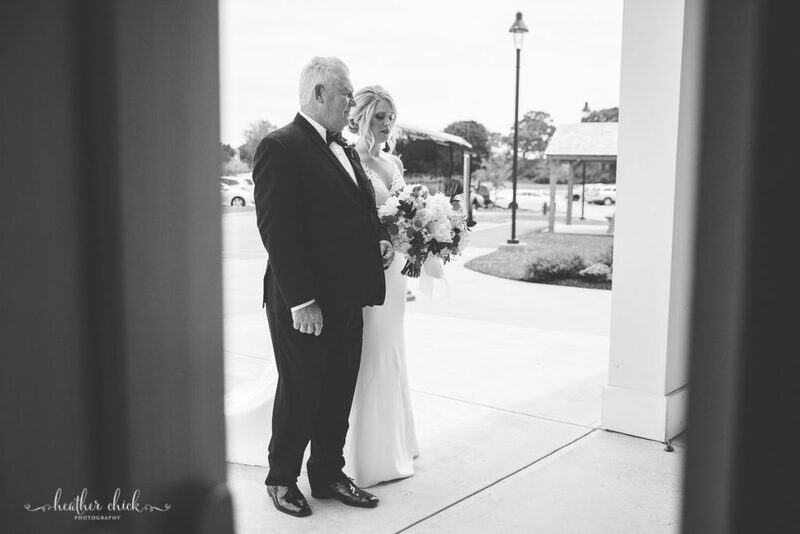 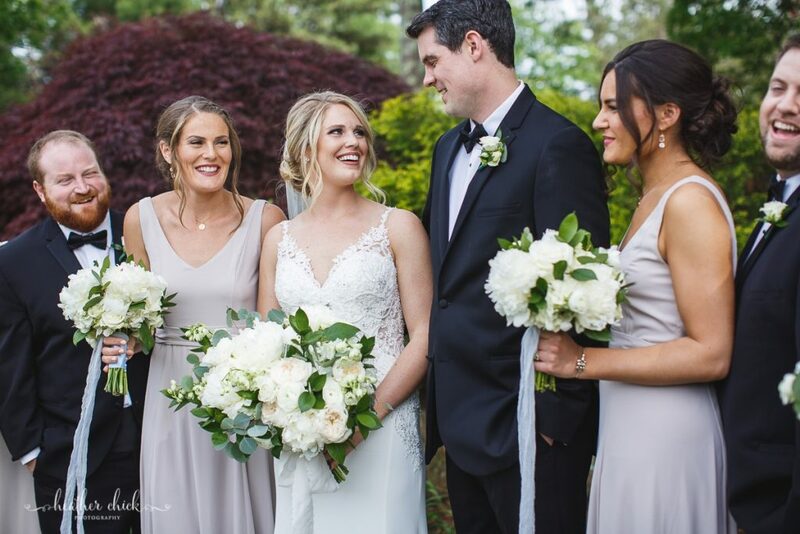 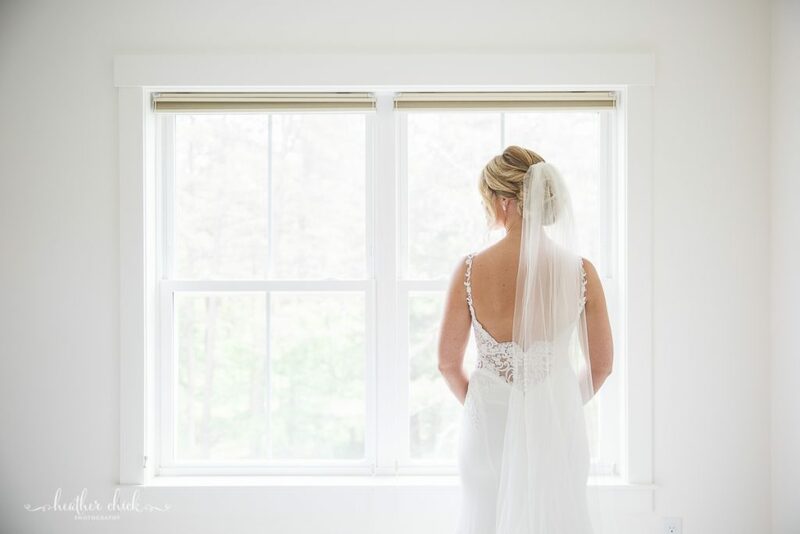 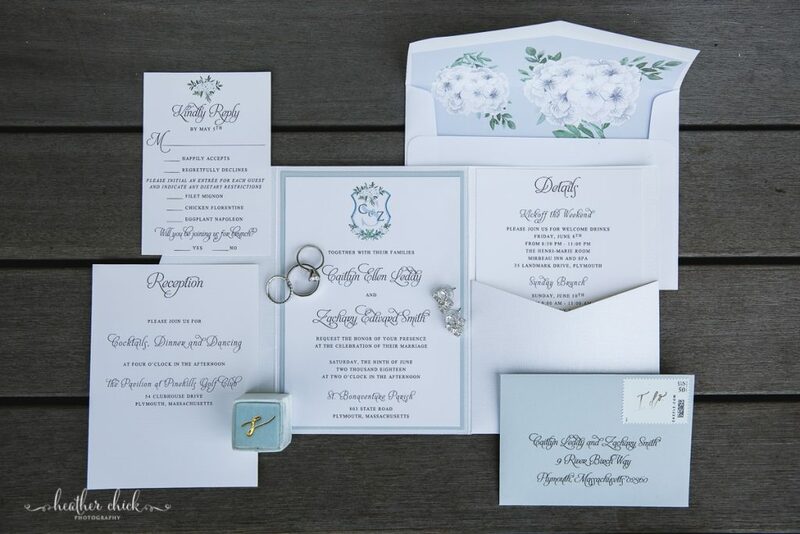 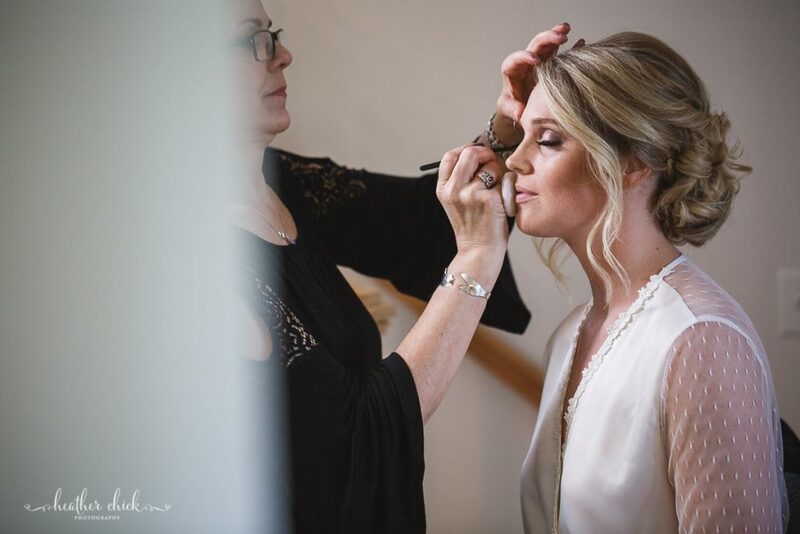 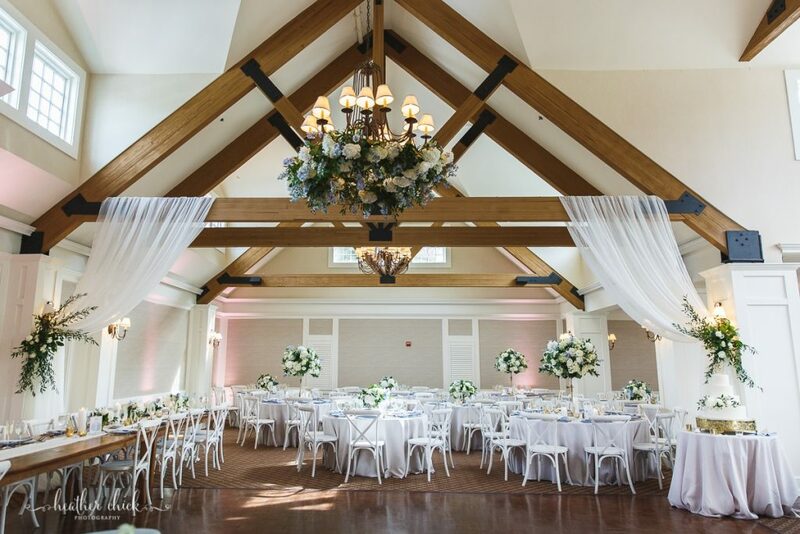 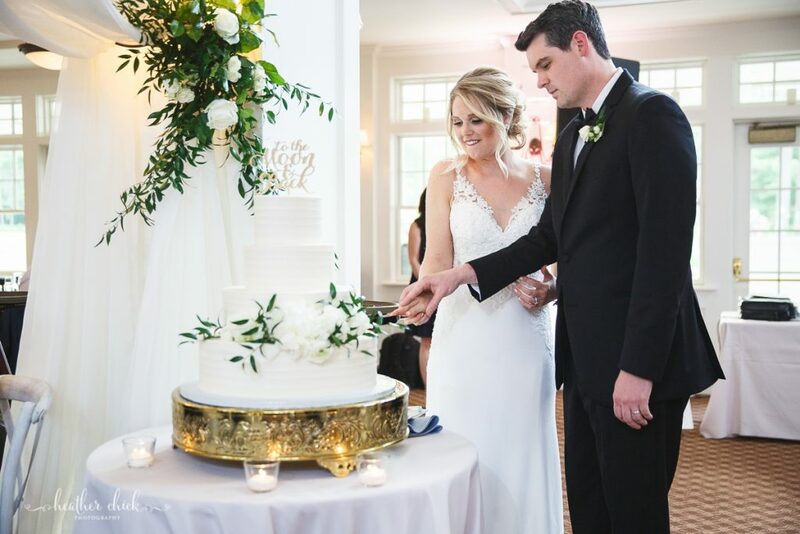 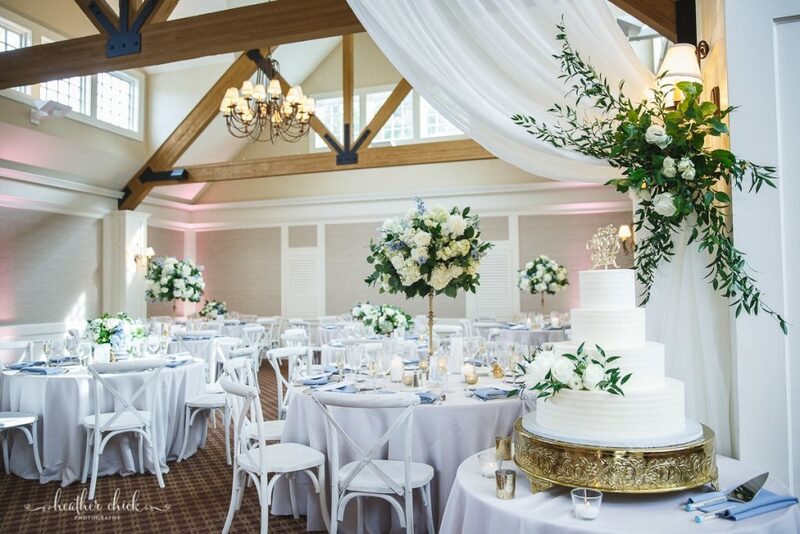 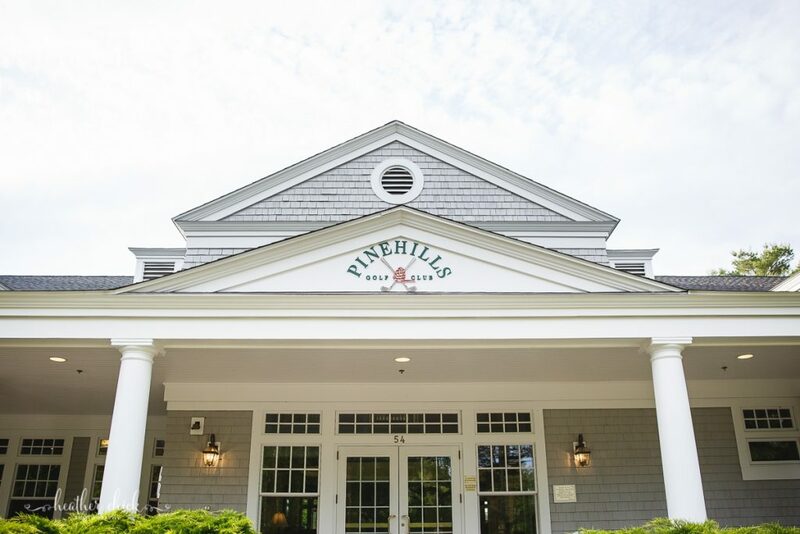 My jaw dropped when I saw the Pinehills Pavilion room transformed by Beach Plum Floral….Every detail that Caitlyn and their team put together was just GORGEOUS! 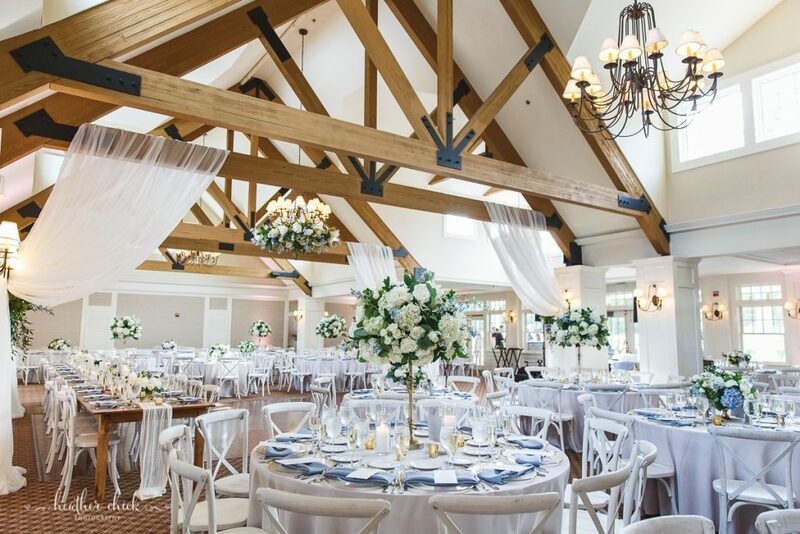 I have included many more detail shots of the Pinehills Pavilion room, because I just couldn’t narrow it down – everything looked so spectacular! 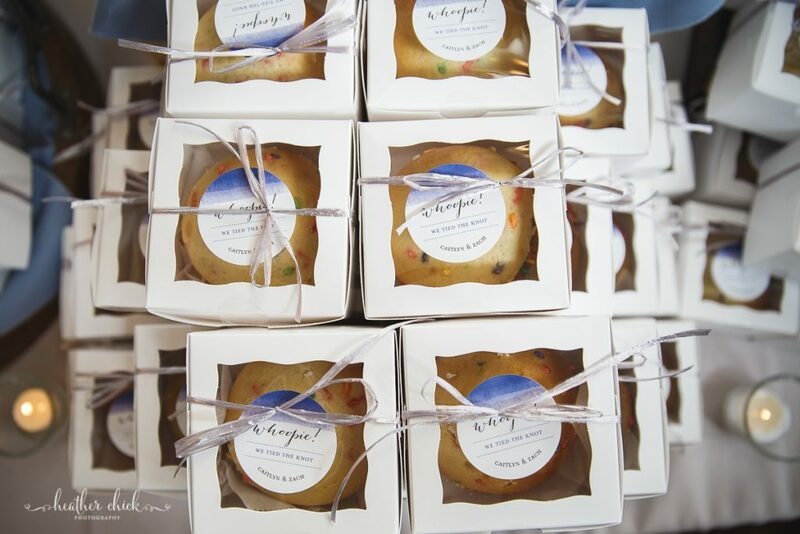 There were even whoopie pies for there favors – YUM ands adorable!! 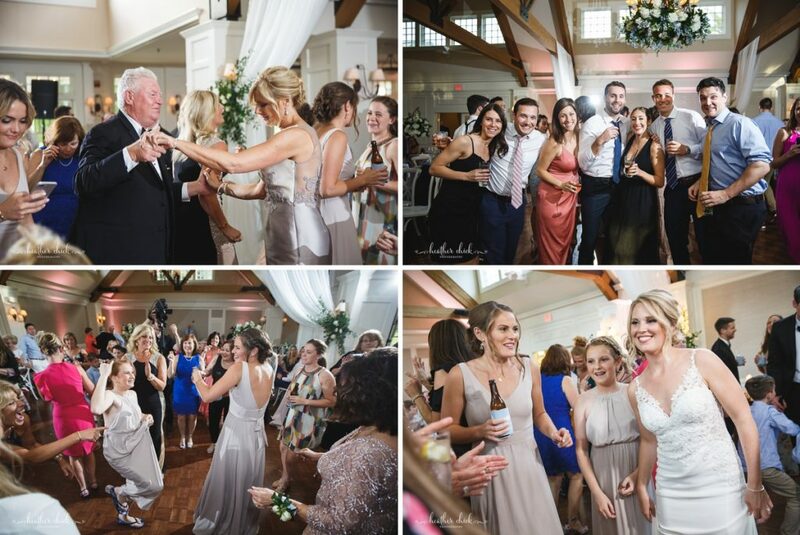 While I was inside capturing that gorgeous space, the guests were outside socializing and even playing some corn hole! 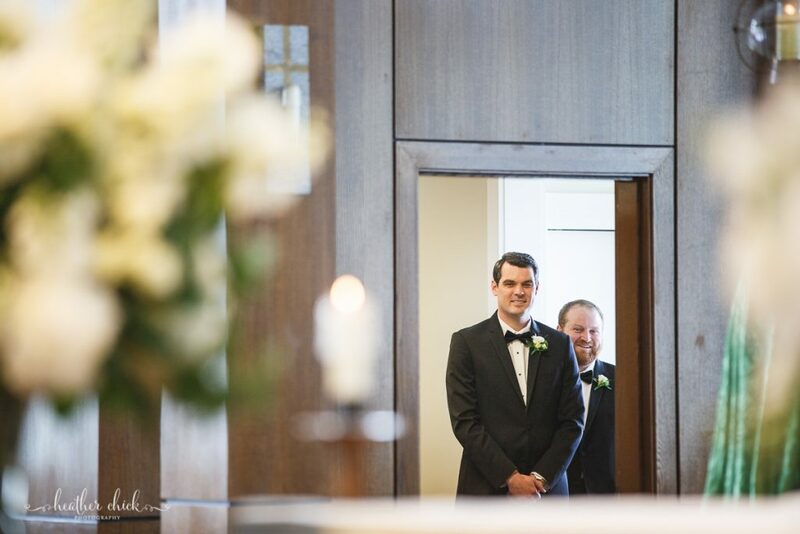 Then it was time for the reception to begin:)! 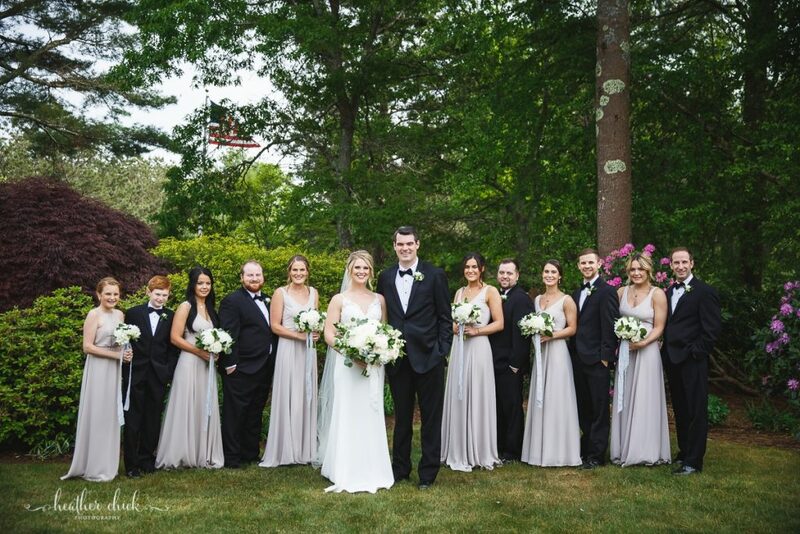 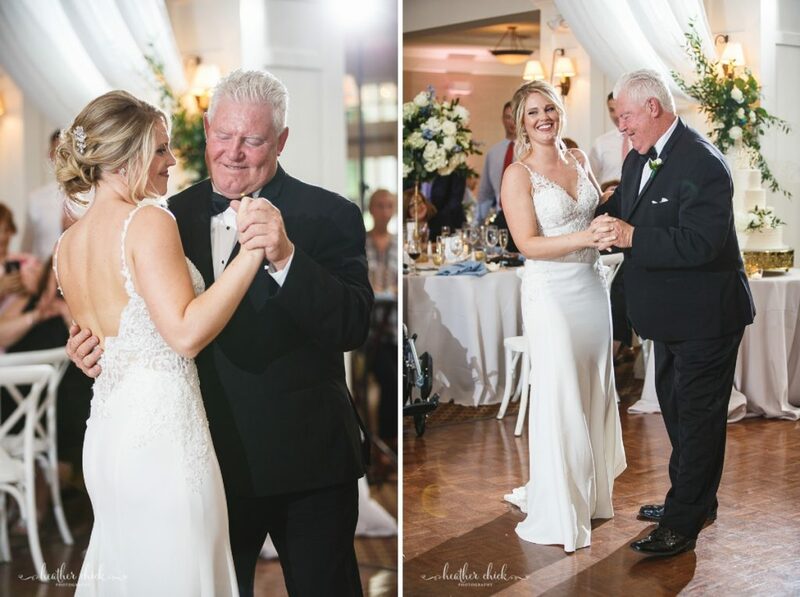 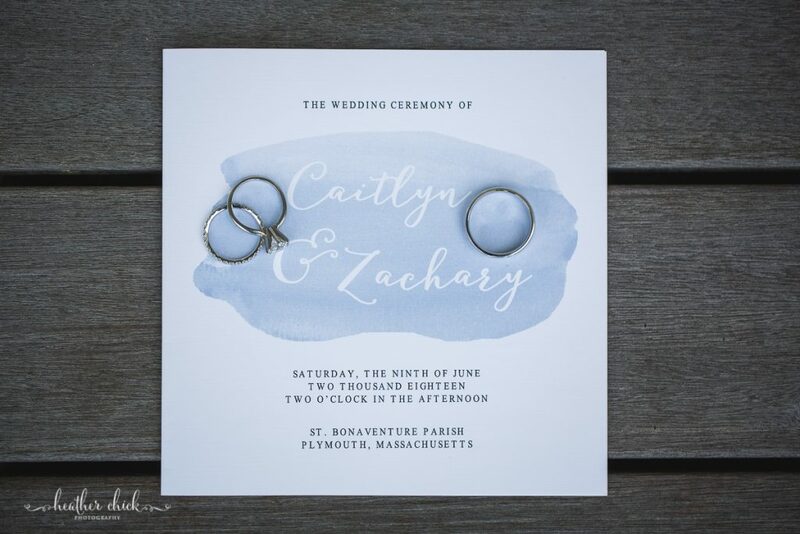 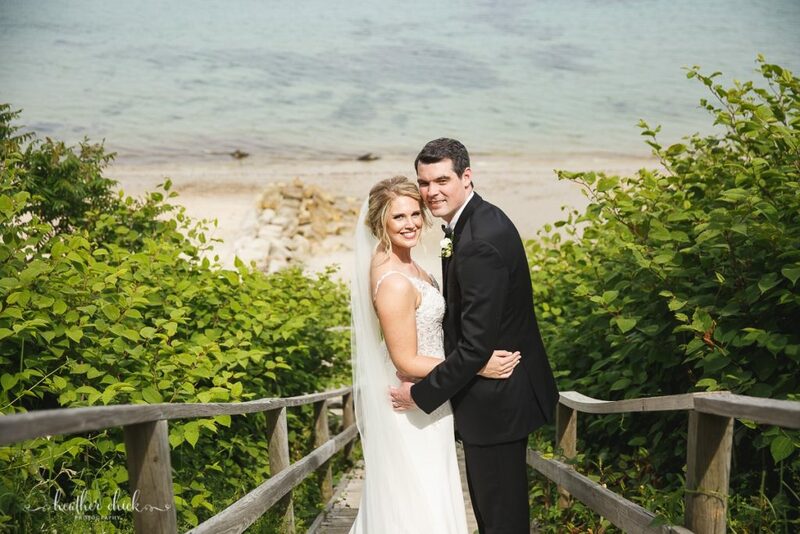 Caitlyn and Zach – Thank you SO much for choosing me to be a part of your day! 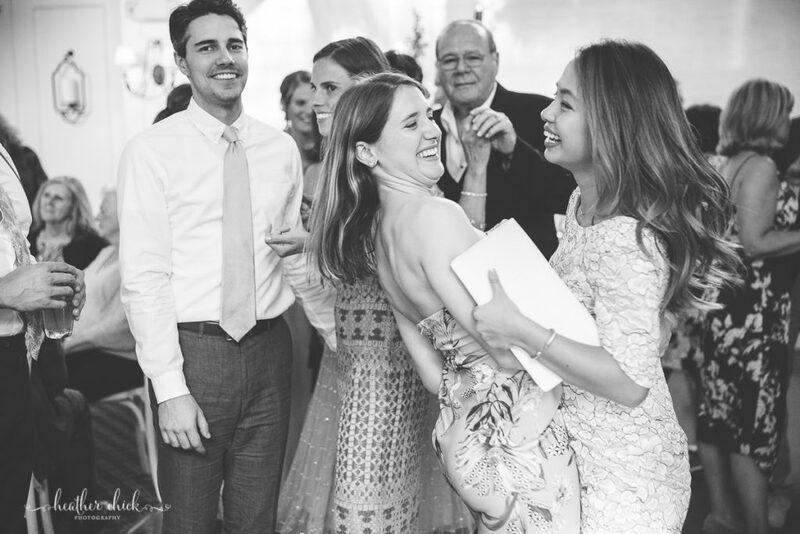 You are both such amazing, sincere and kind people! 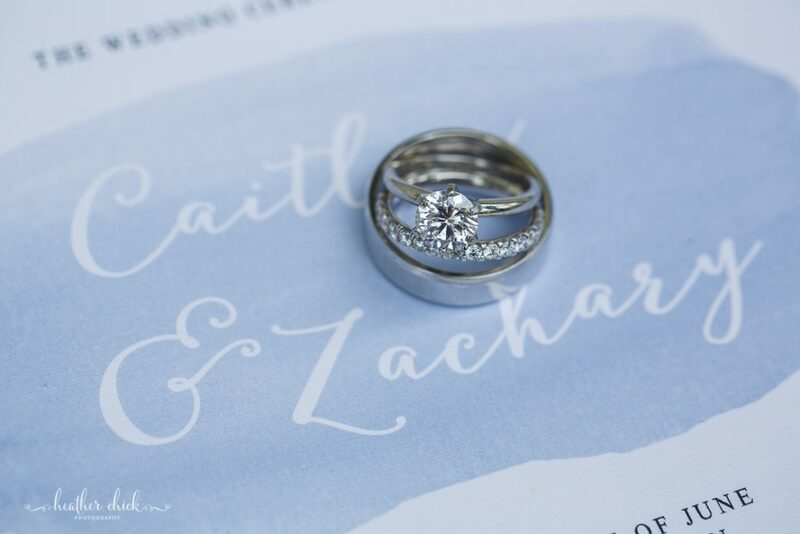 I hope that we cross paths again soon (and we just might because I have been chatting with Zach’s aunt already:)! 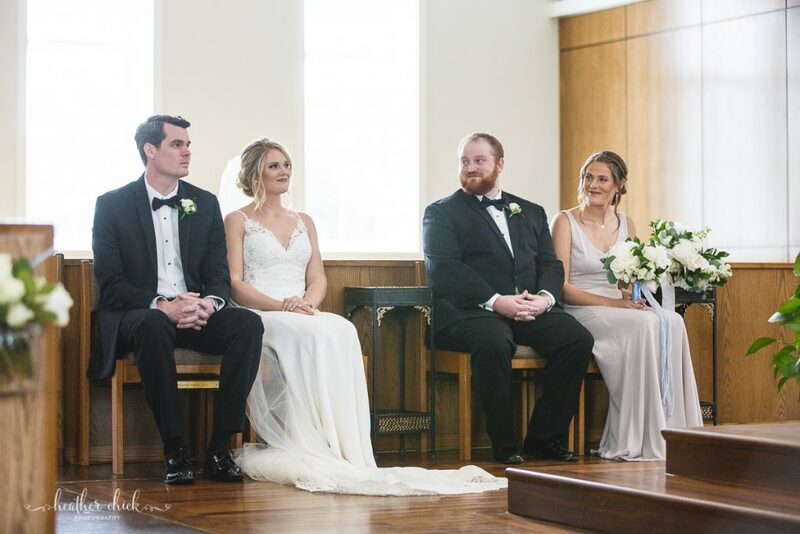 Caitlyn – Seeing Zach after the large church doors opened & my sisters speech. 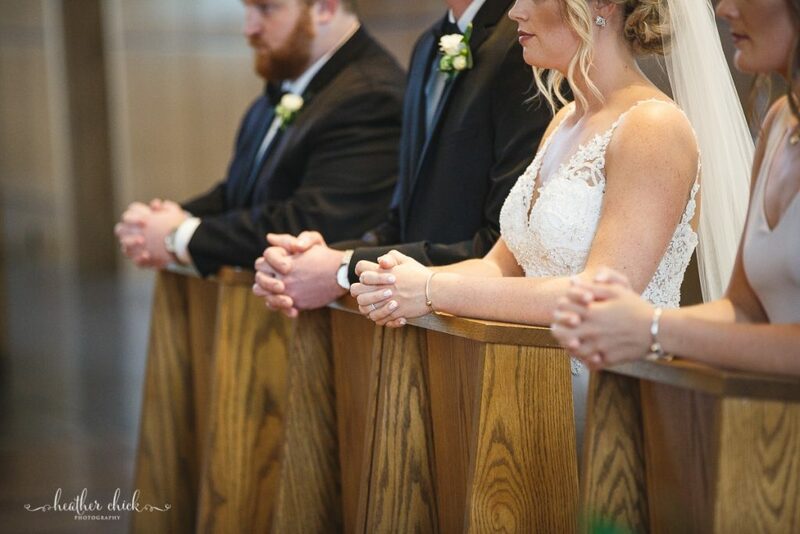 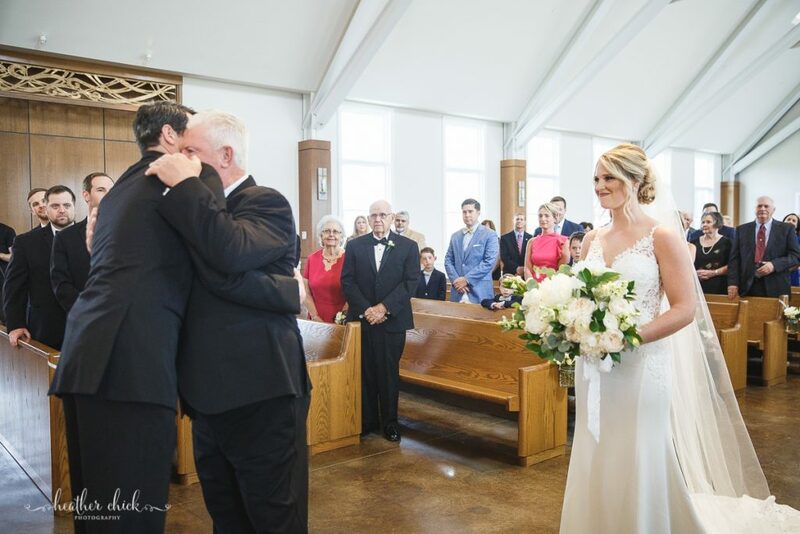 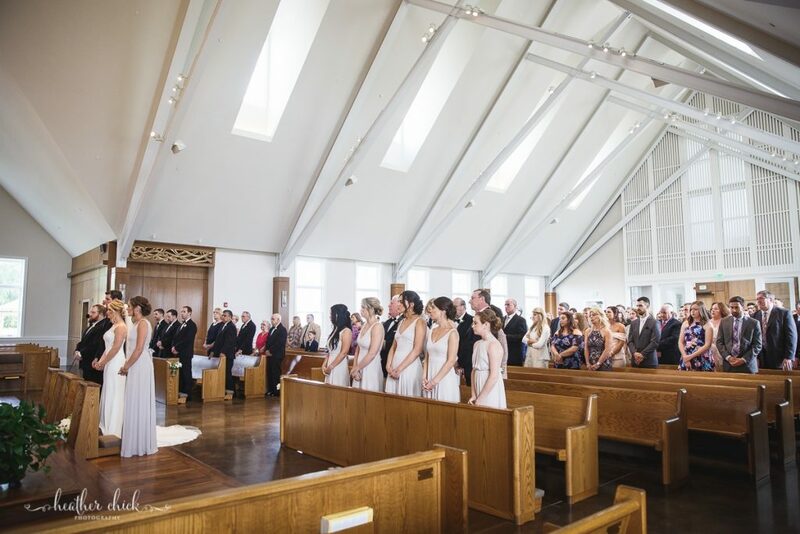 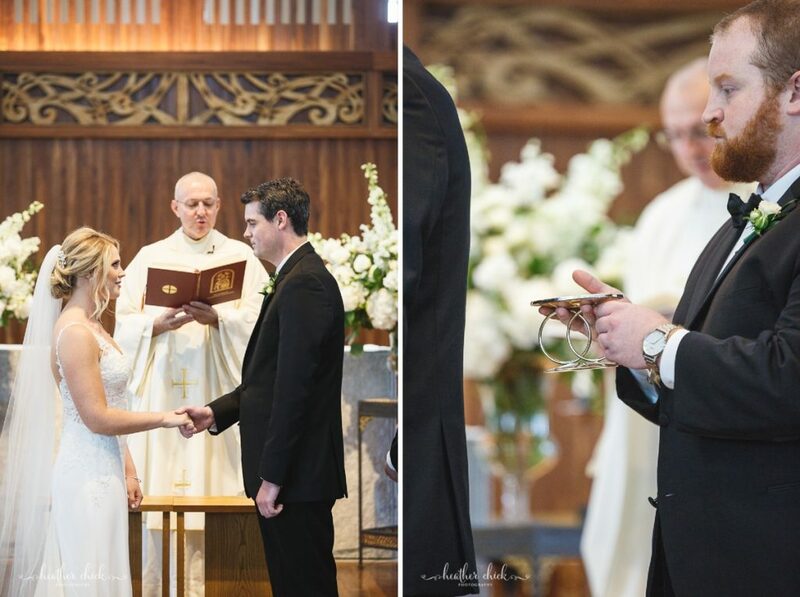 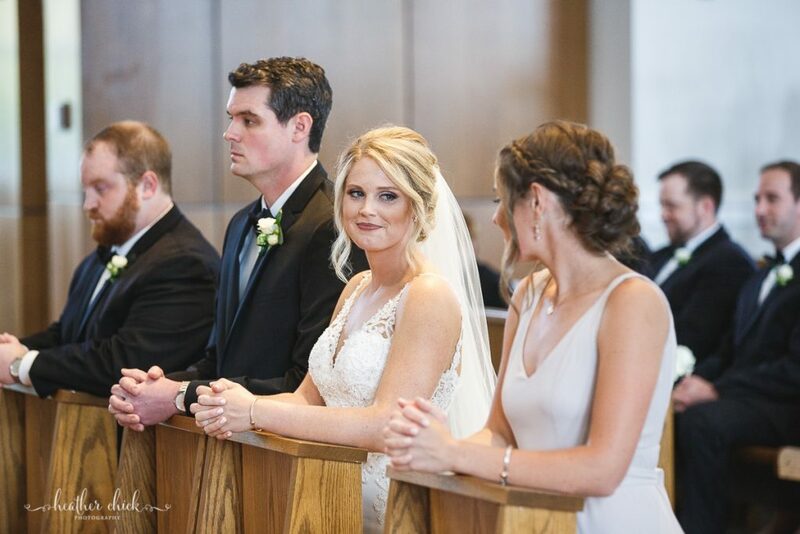 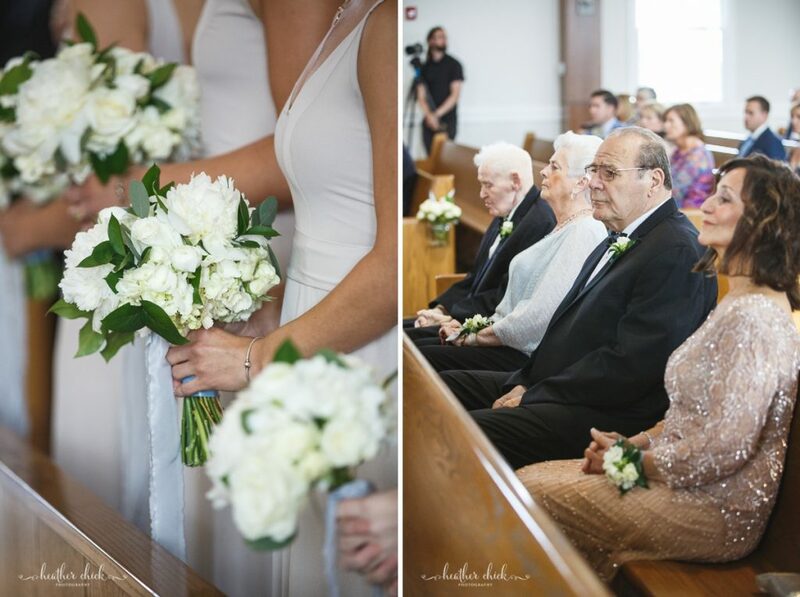 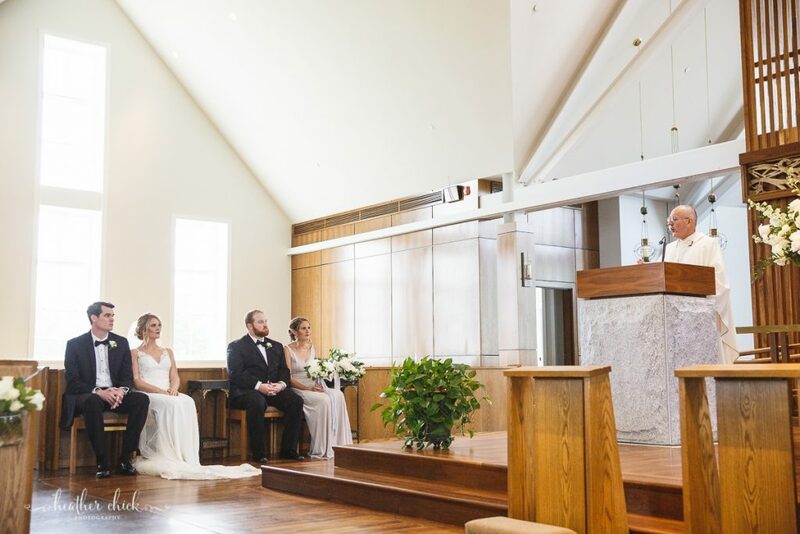 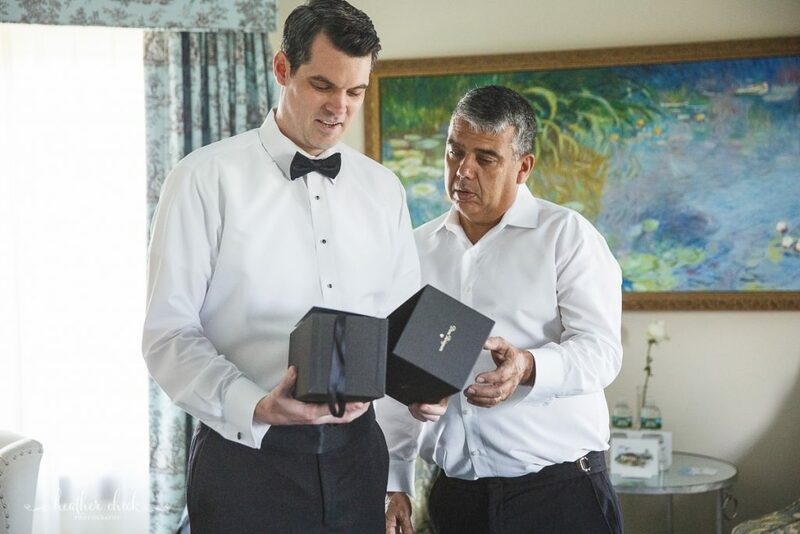 Zach – Seeing Caitlyn for the first time with the organ playing. 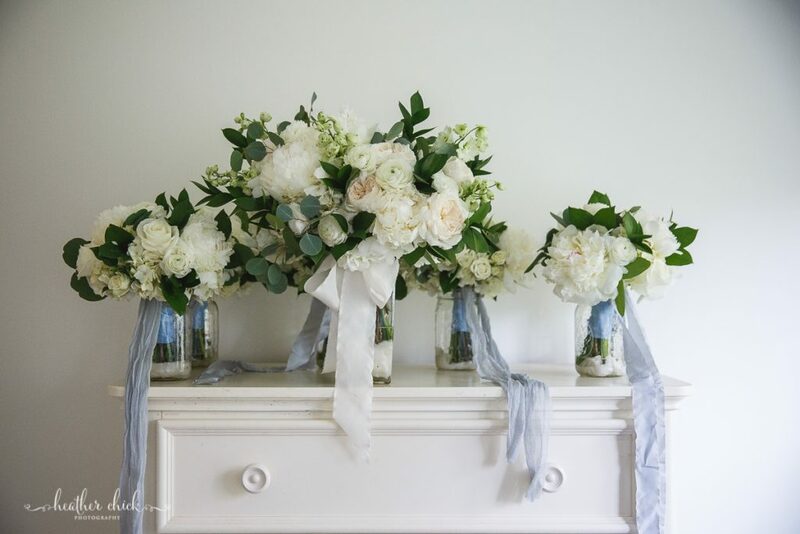 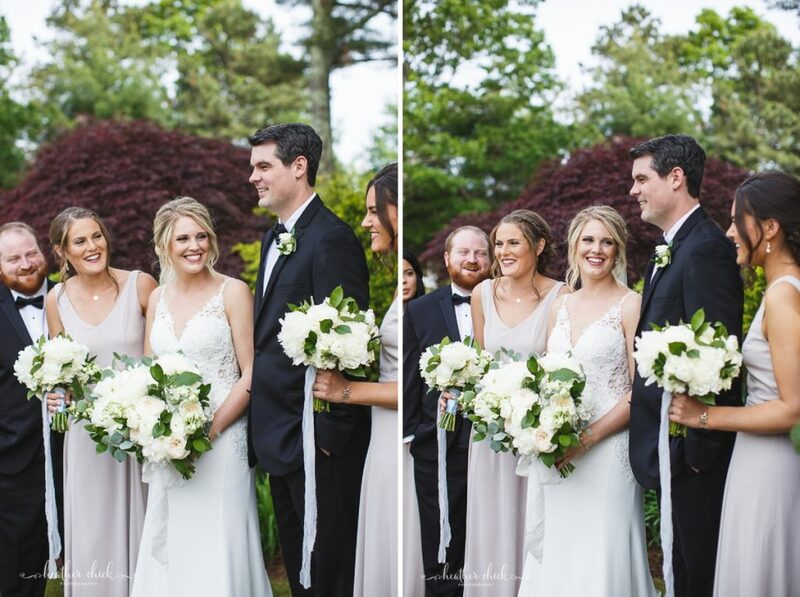 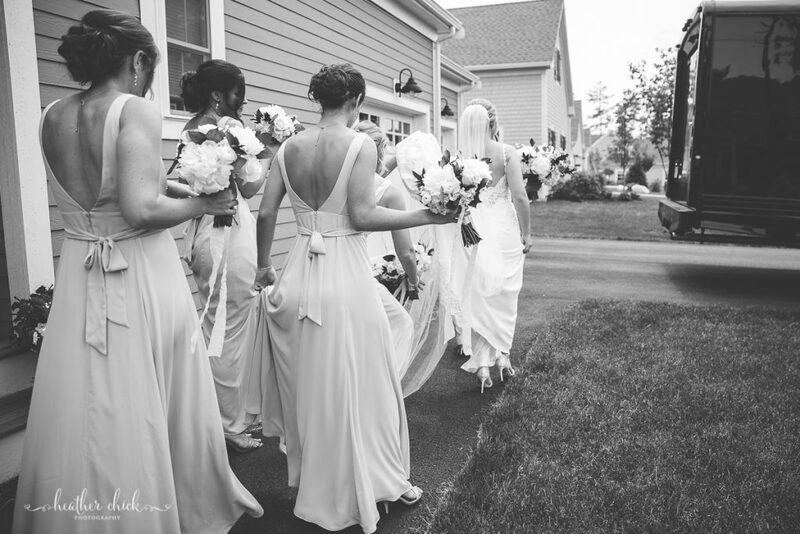 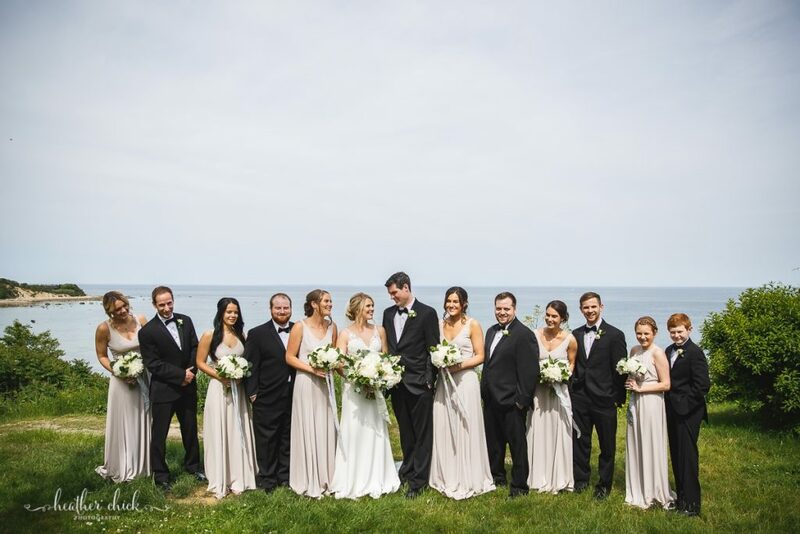 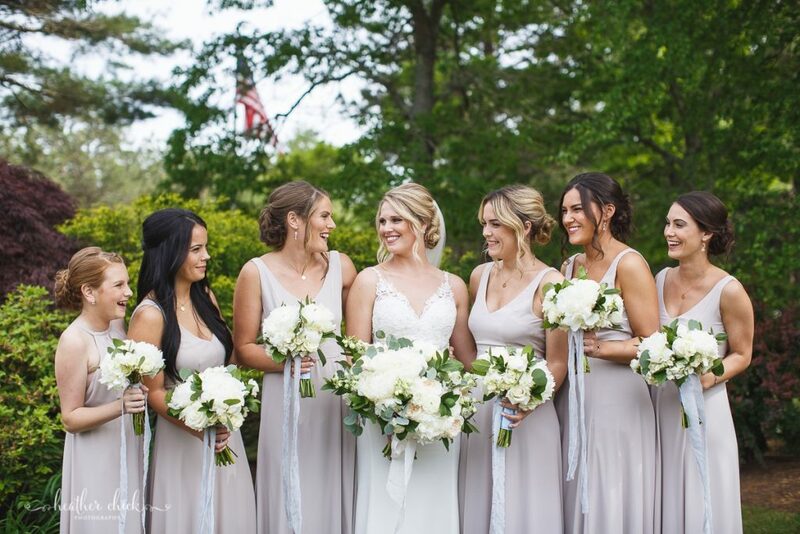 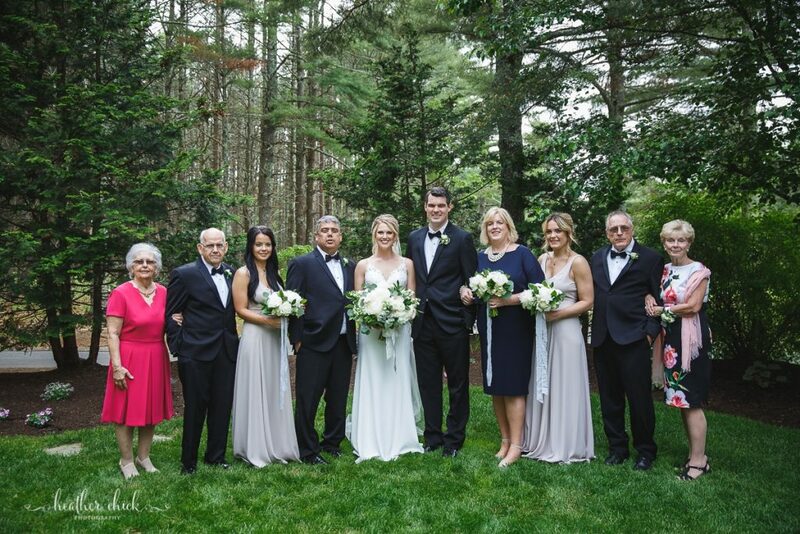 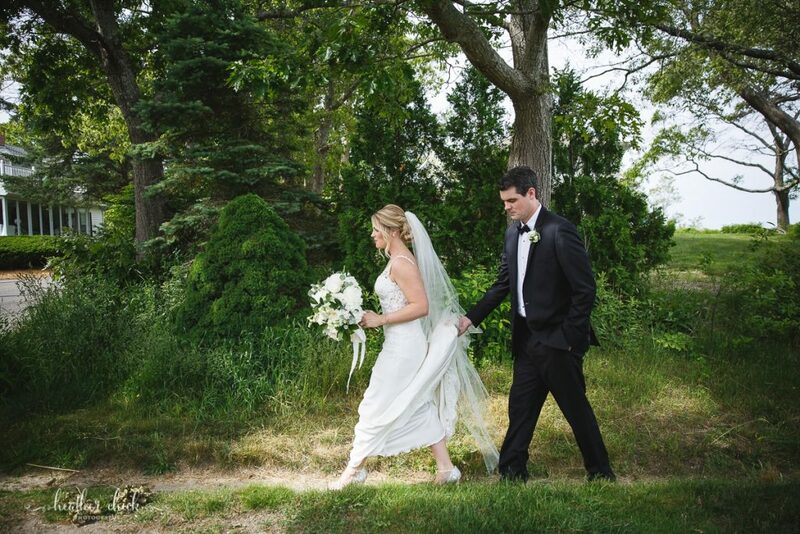 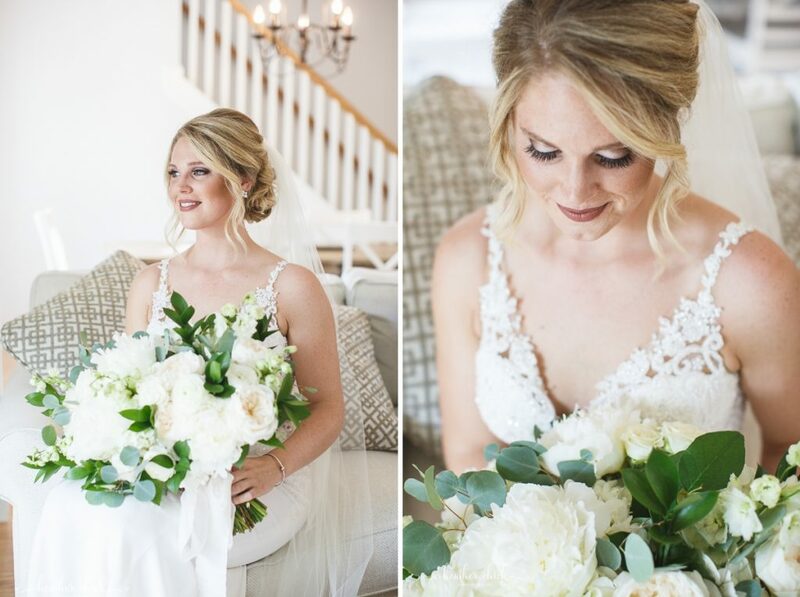 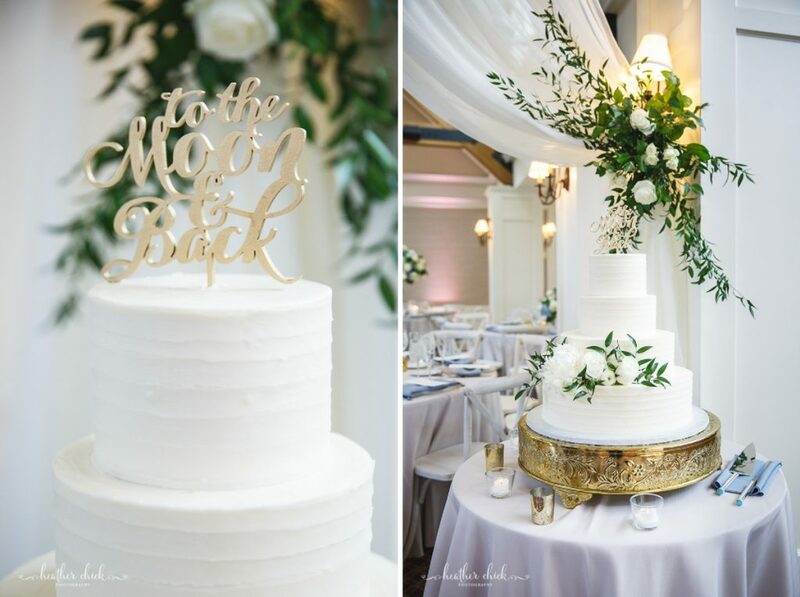 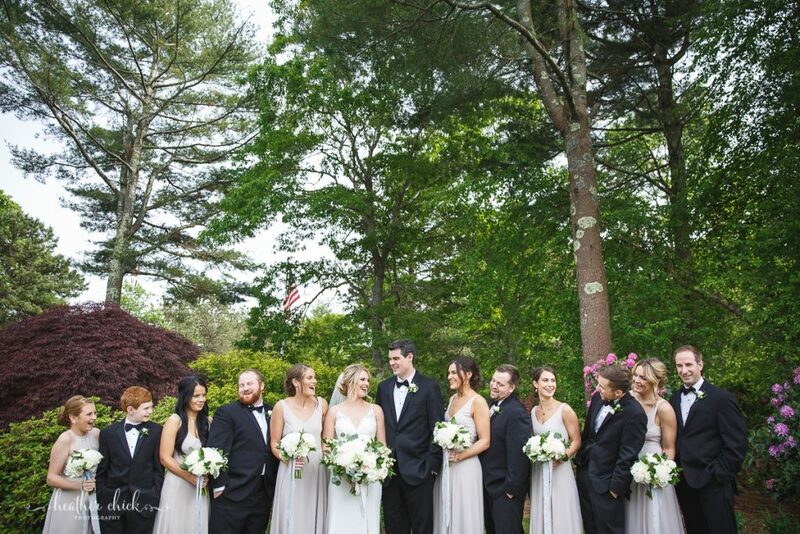 Caitlyn – All of the stunning floral arrangements & chandelier by Beach Plum Floral. 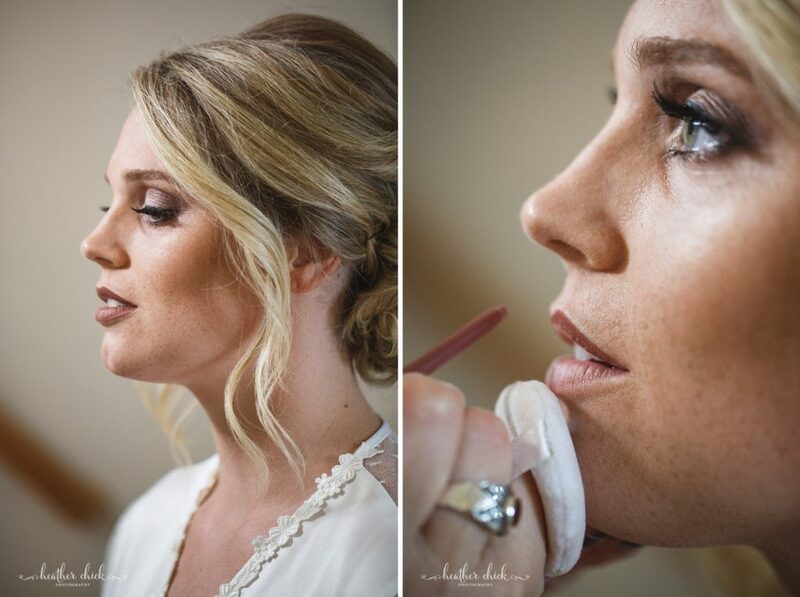 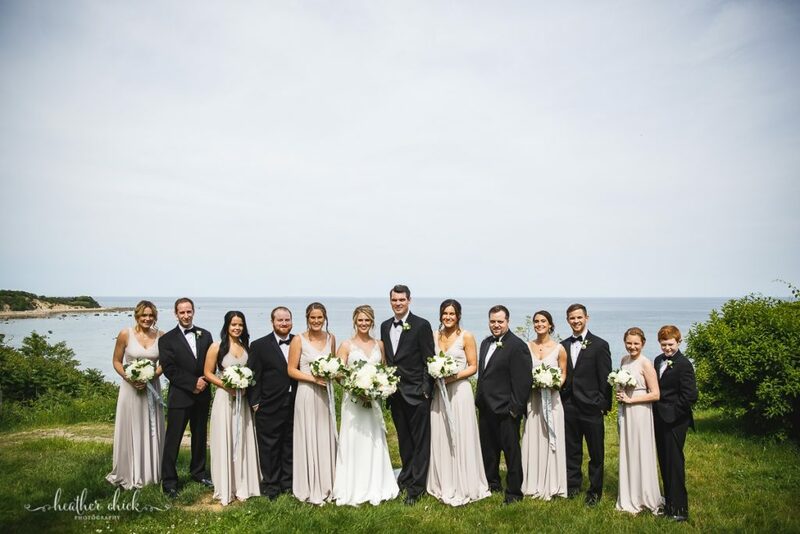 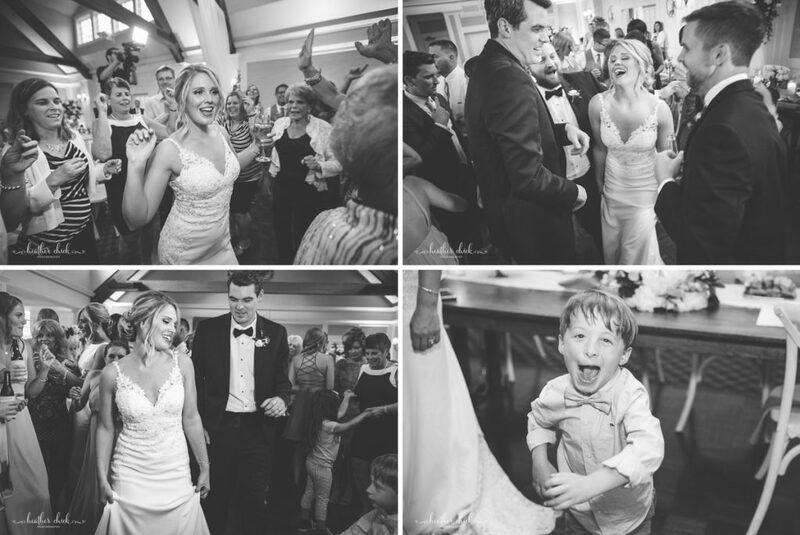 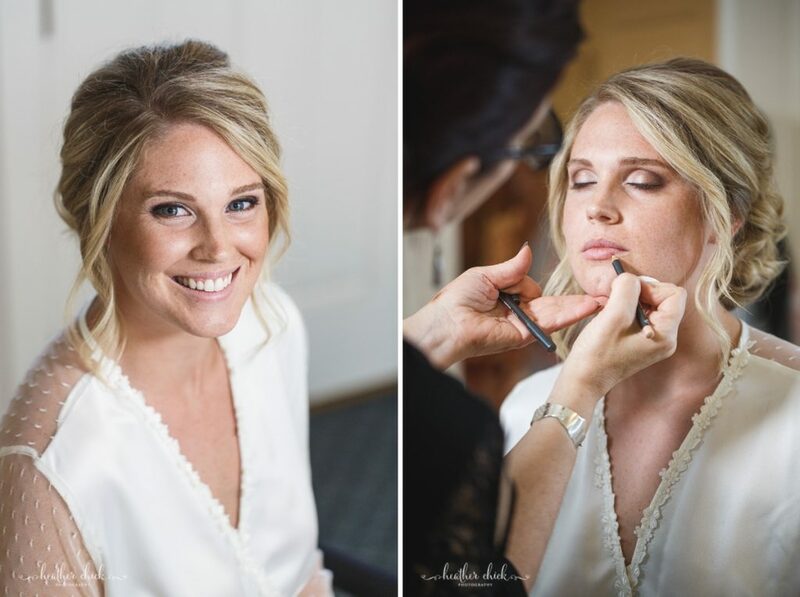 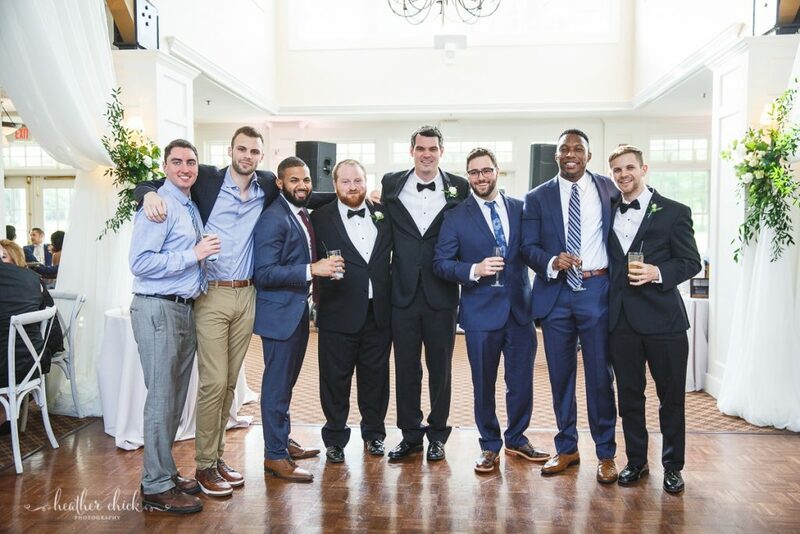 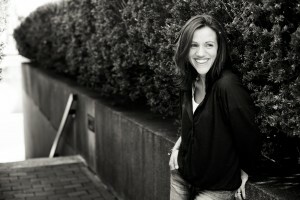 Jillian and her team greatly exceeded our expectations! 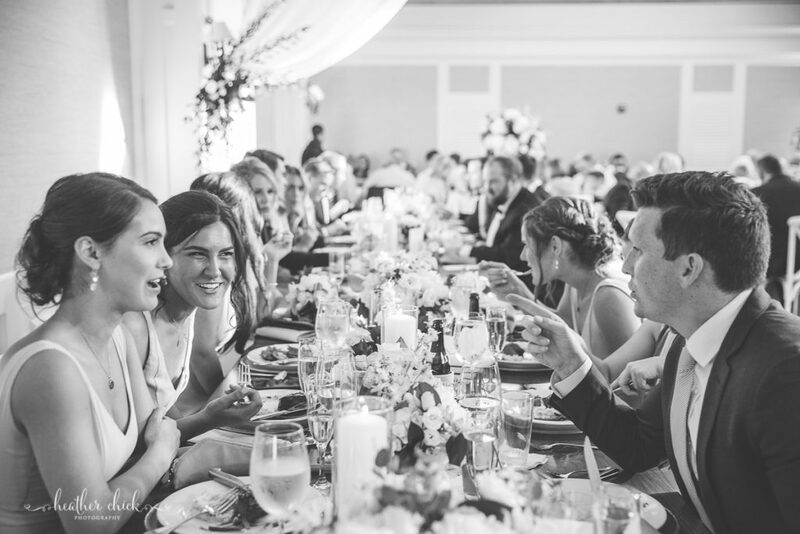 Zach – All the details on the head farmers table. 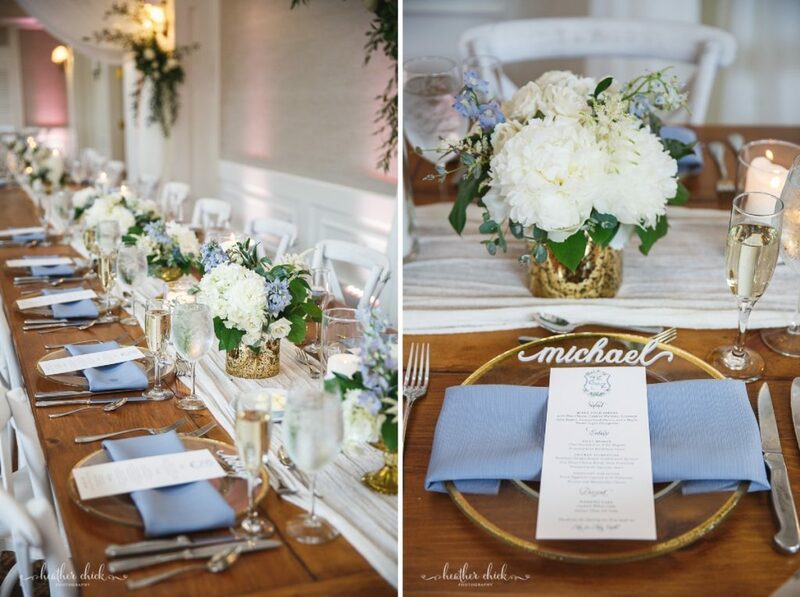 The flowers, the candles, the wooden name signs all came together and looked great. 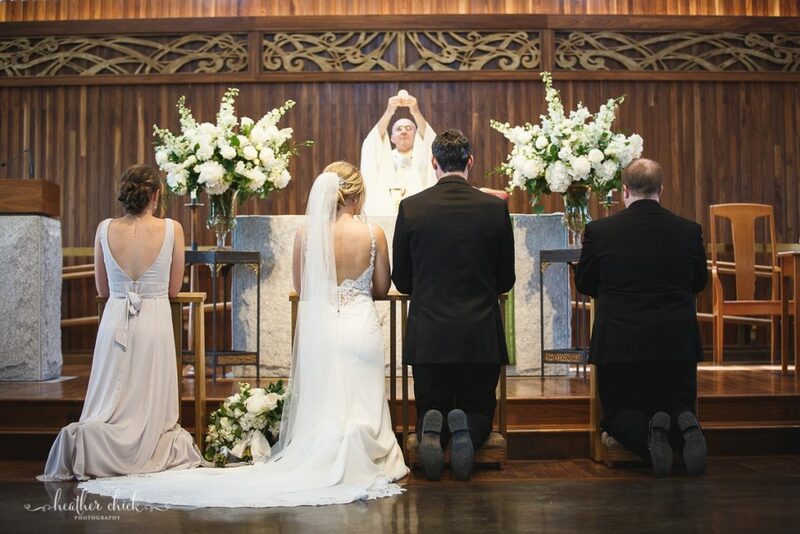 Seems cliche but take everything in! 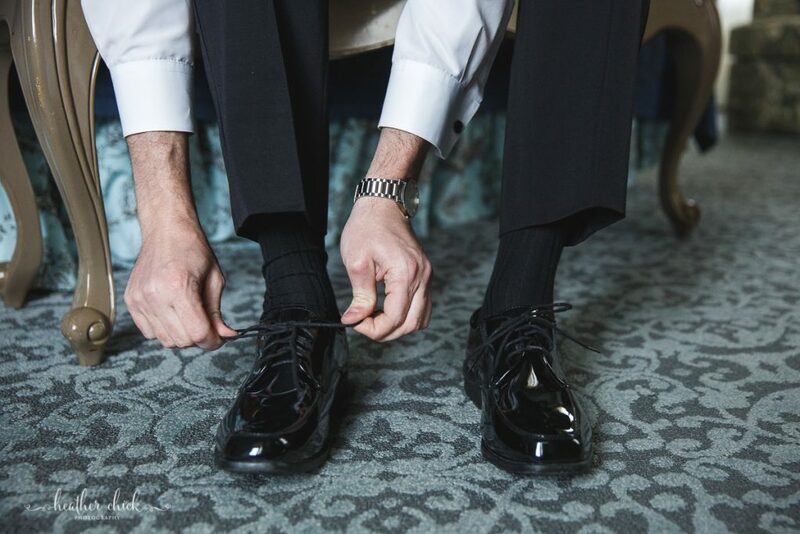 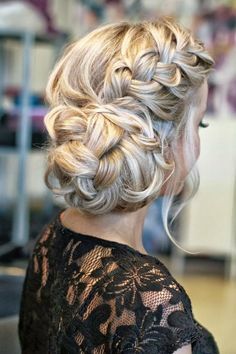 Try to enjoy the details that you spent so much time planning. 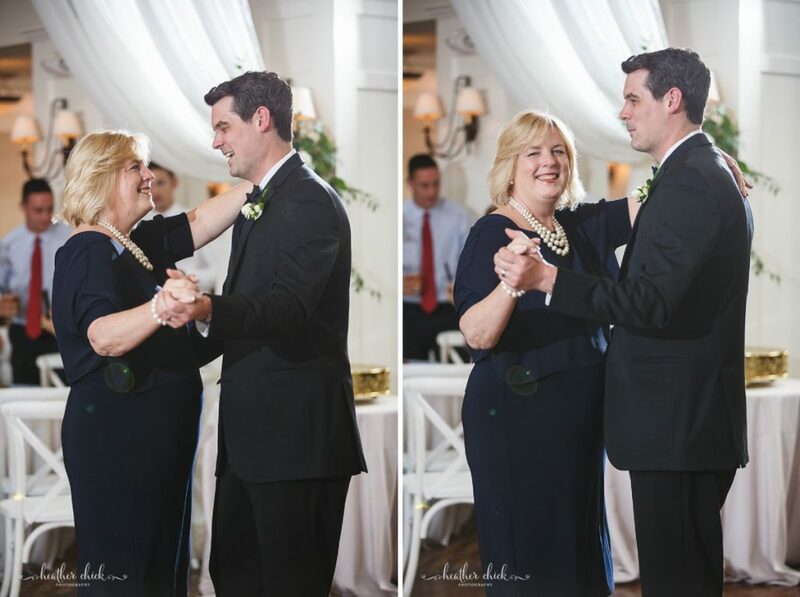 Zach and I had so much fun dancing that we actually missed the last shuttle back to the Mirabeau Hotel. 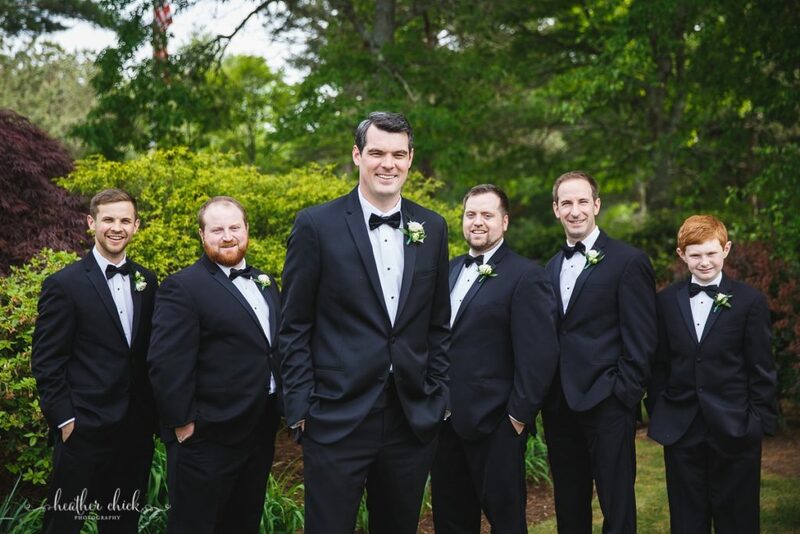 The limo company was so great, they came back to get us.